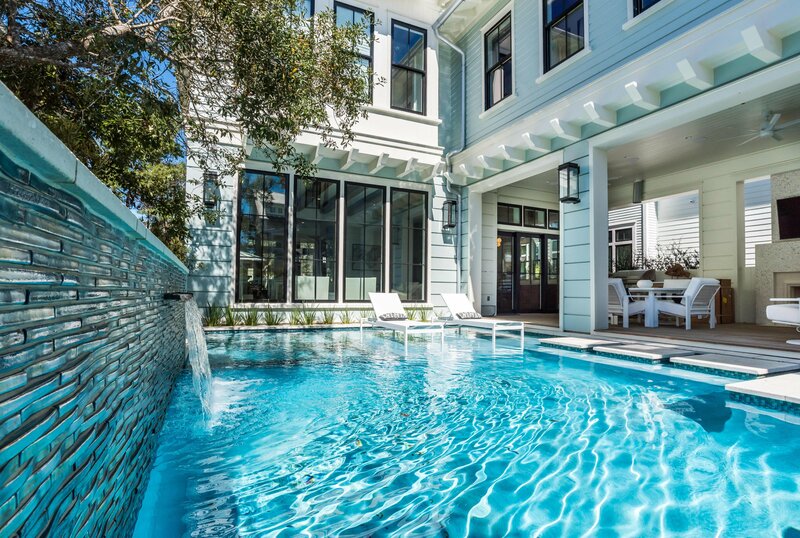 Sleek coastal design. 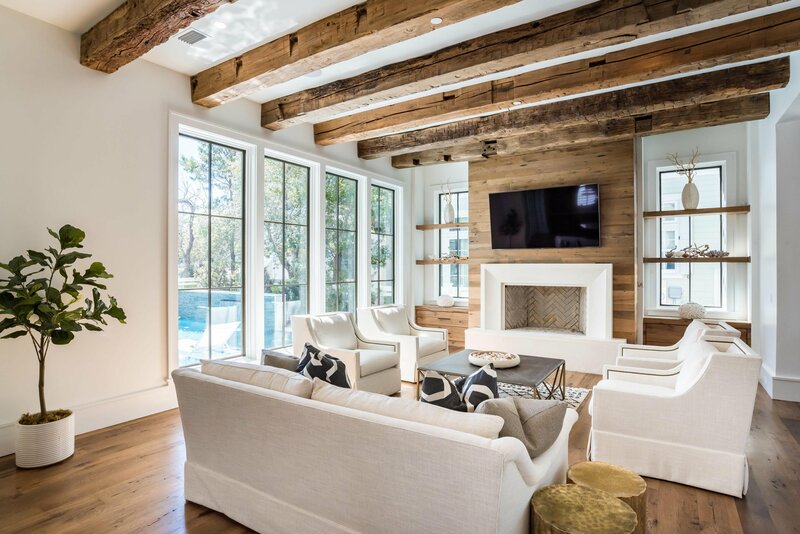 Sophisticated elegance meets traditional beauty in this expansive Watercolor, Florida masterpiece, designed by T.S. 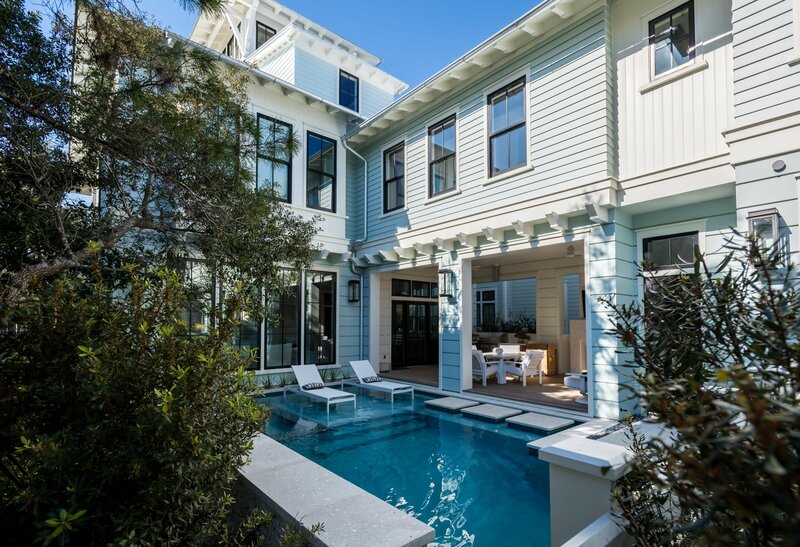 Adams and built by renowned builder Borges-Brooks Construction. 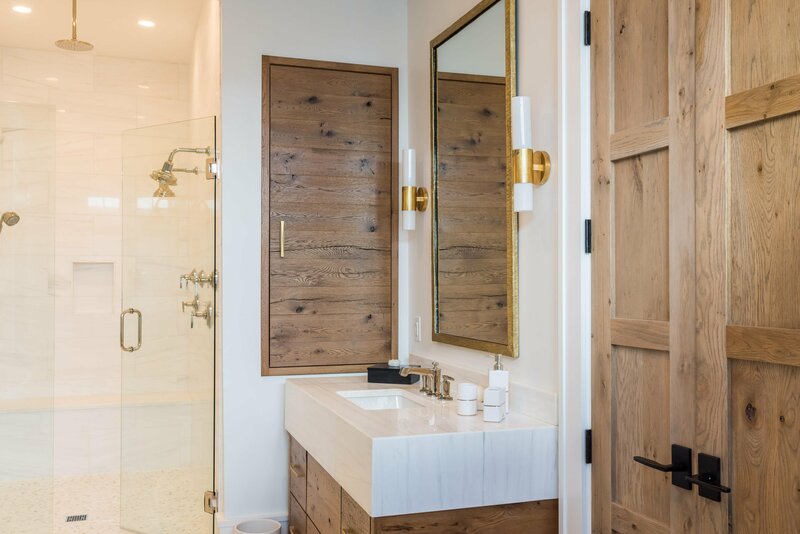 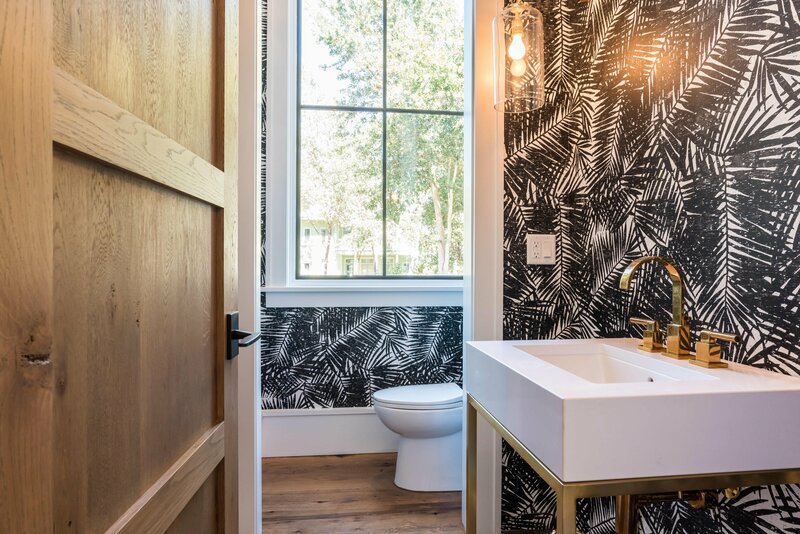 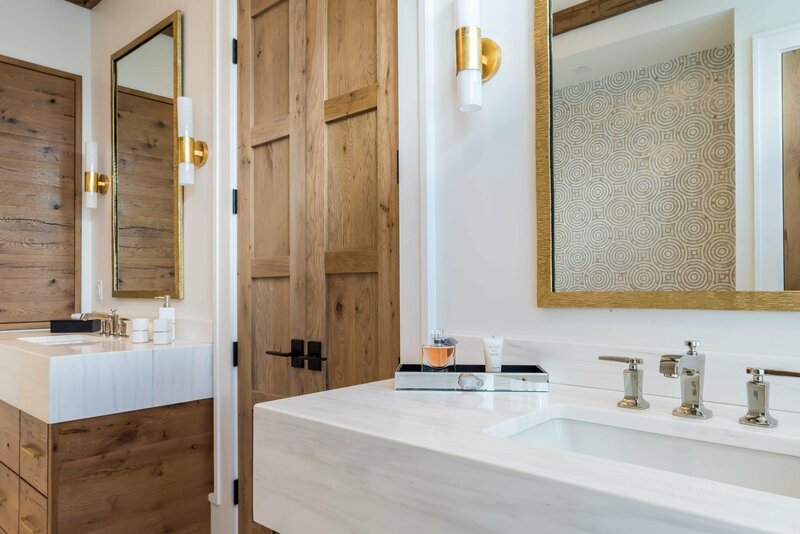 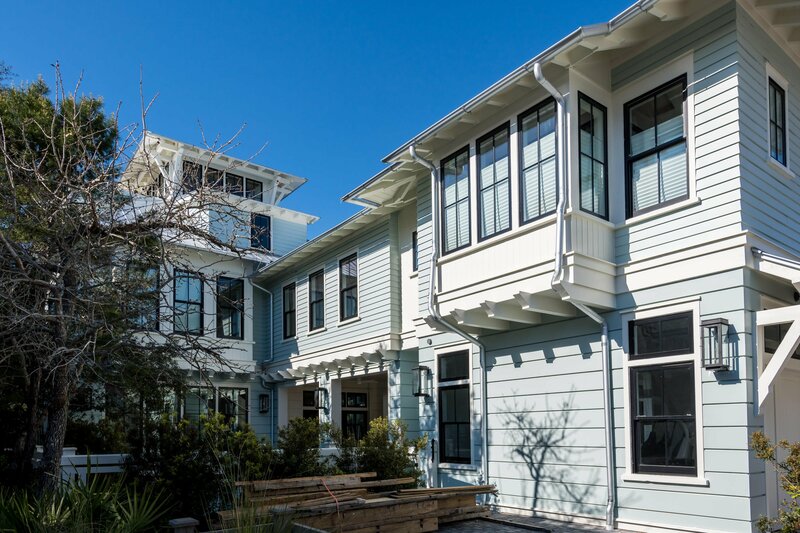 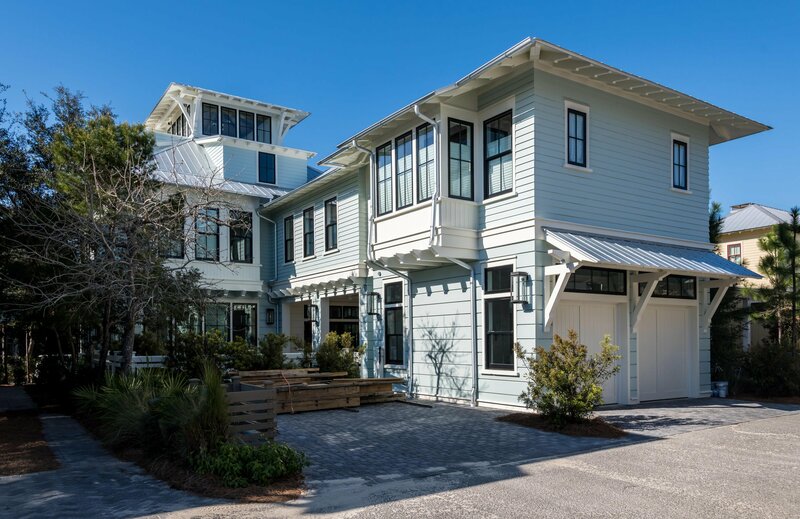 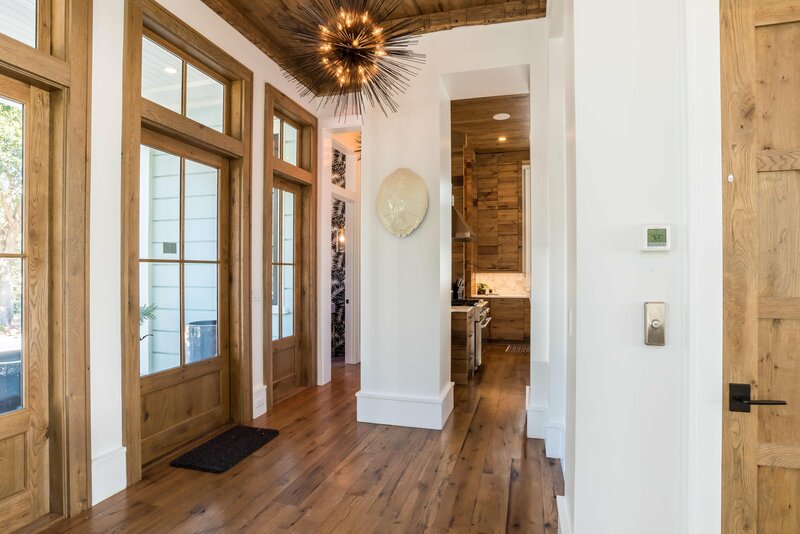 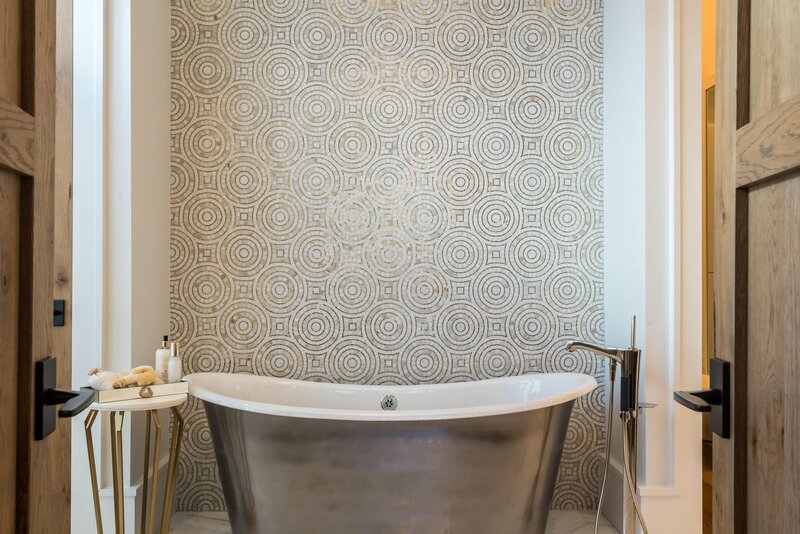 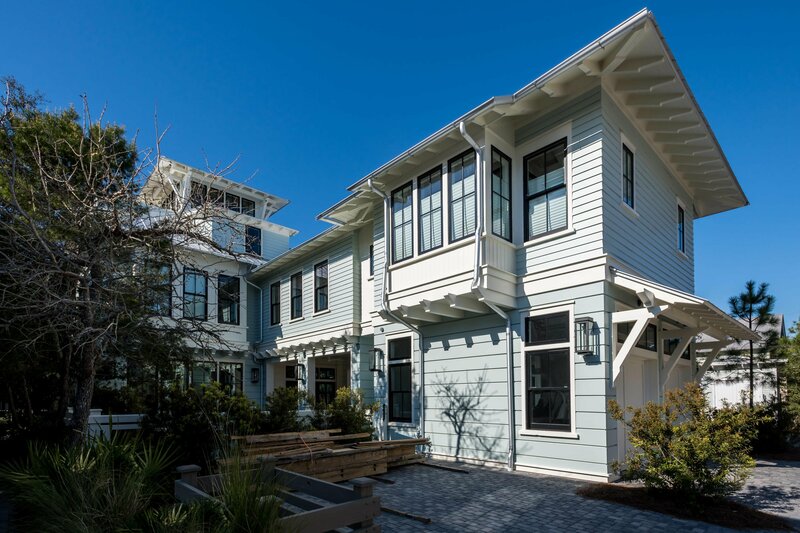 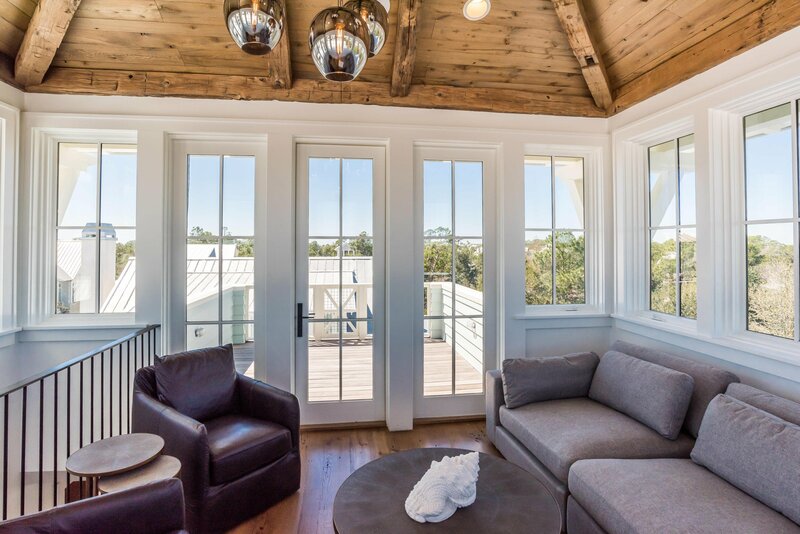 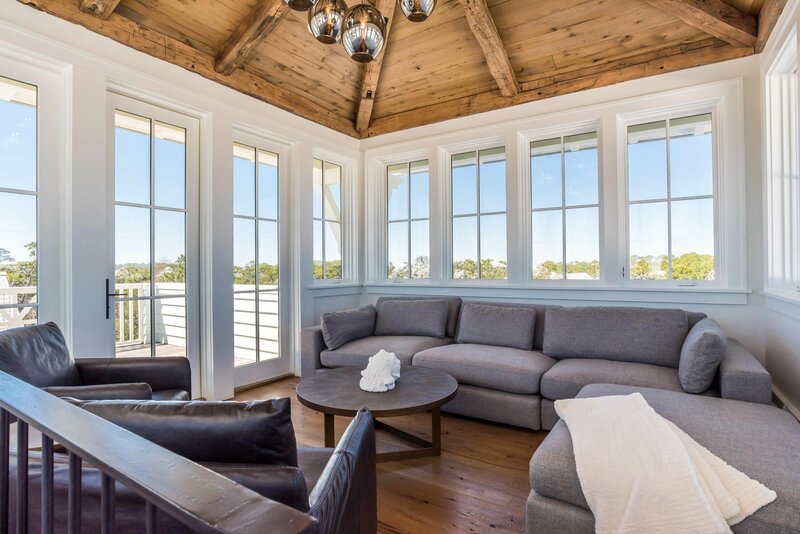 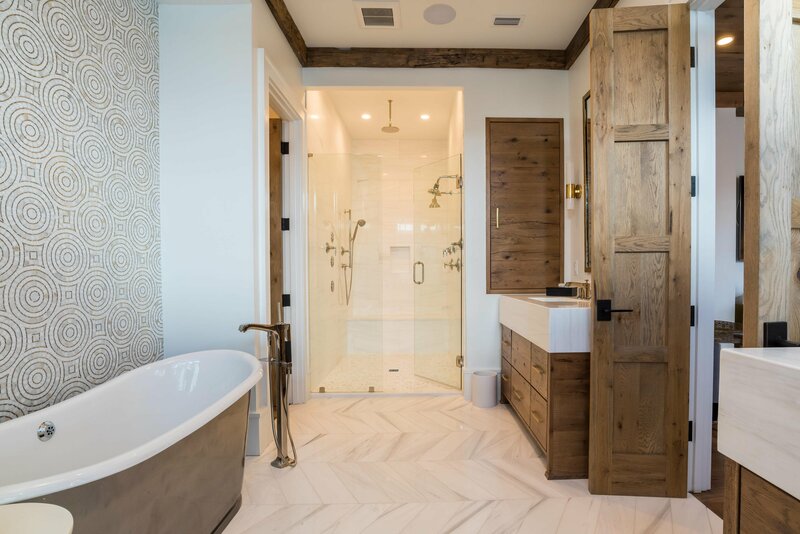 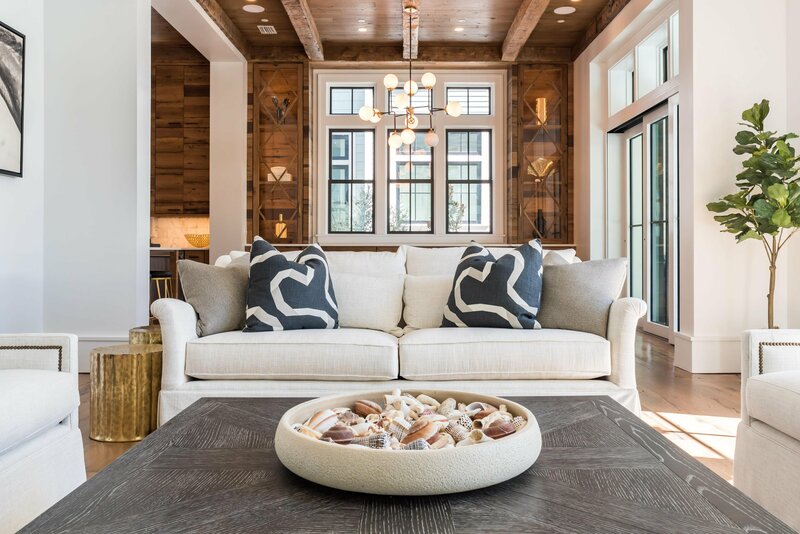 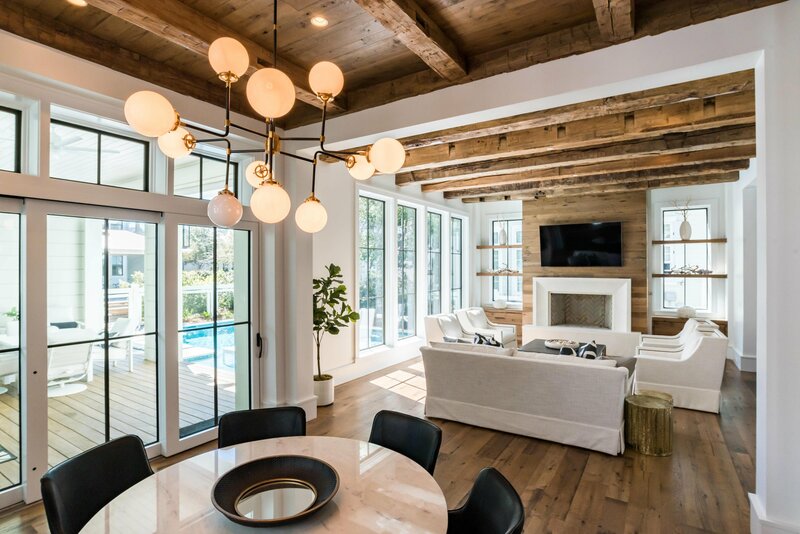 Throughout this grand coastal home are exquisite reclaimed oak floors, doors, and cabinet facings soothe the eye with natural beauty, while meticulously curated tile, fixtures, and accessories provide pops of modernity in just the right proportion. 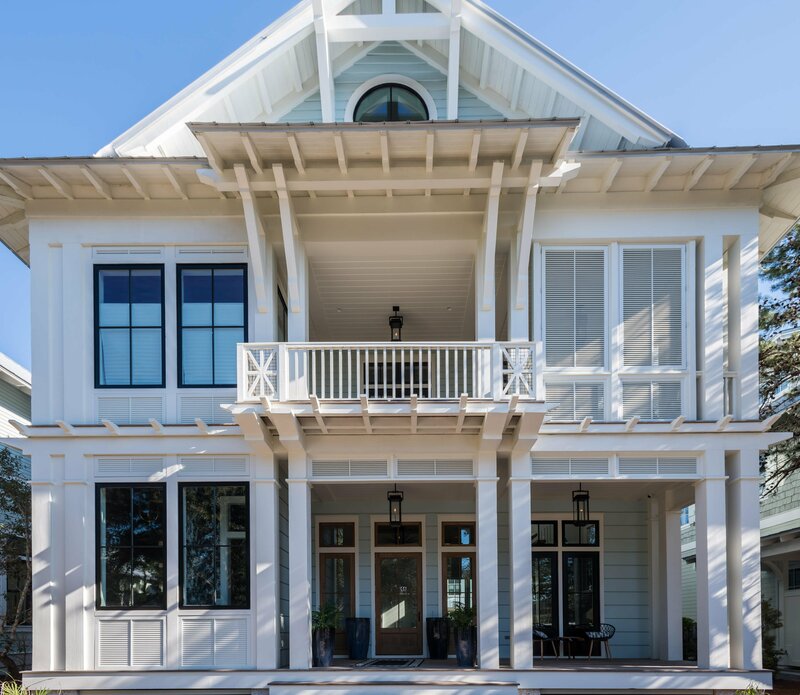 The main living areas of the home are on the ground floor, which encompasses the living and dining areas plus the kitchen with large butler's pantry. 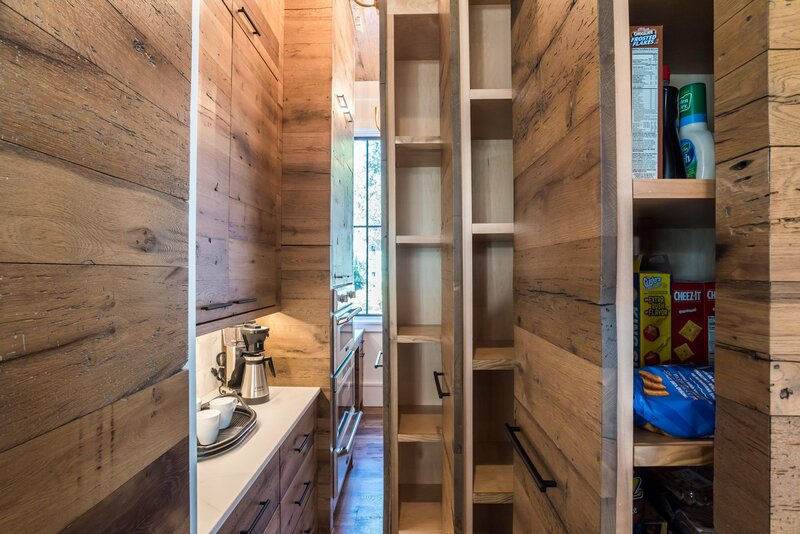 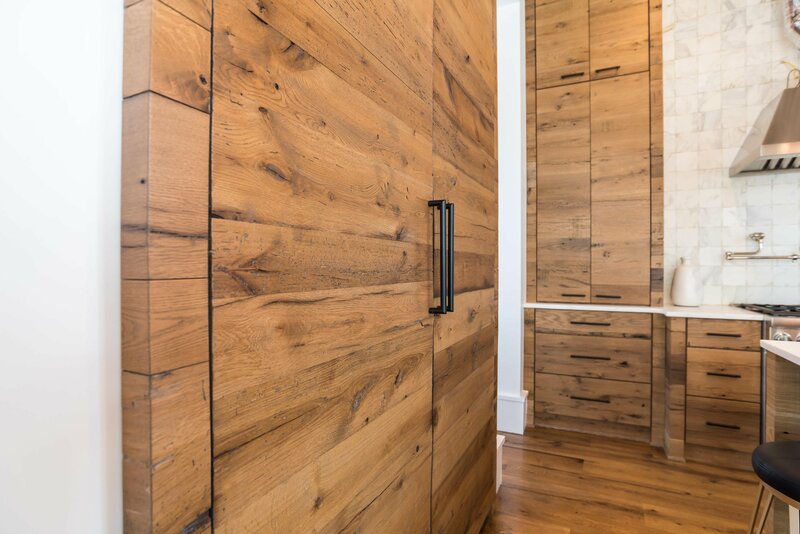 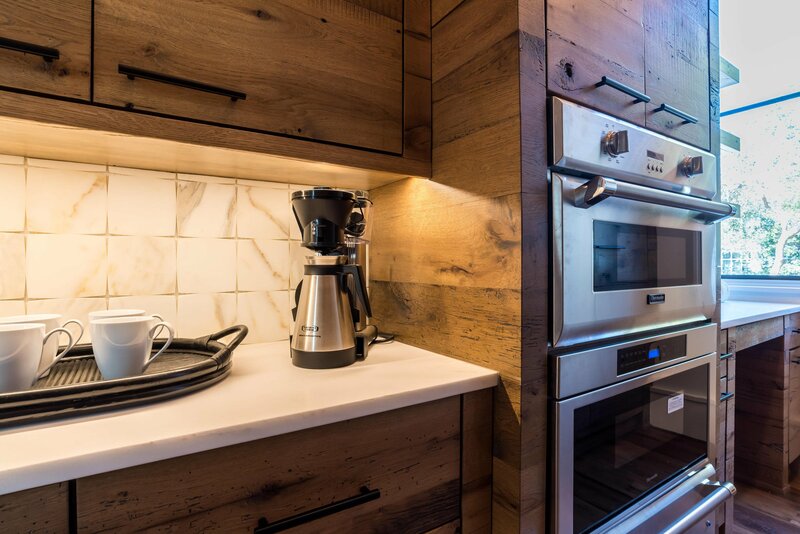 High-design, custom cabinetry in the butler's pantry touts impressive and sleek storage. 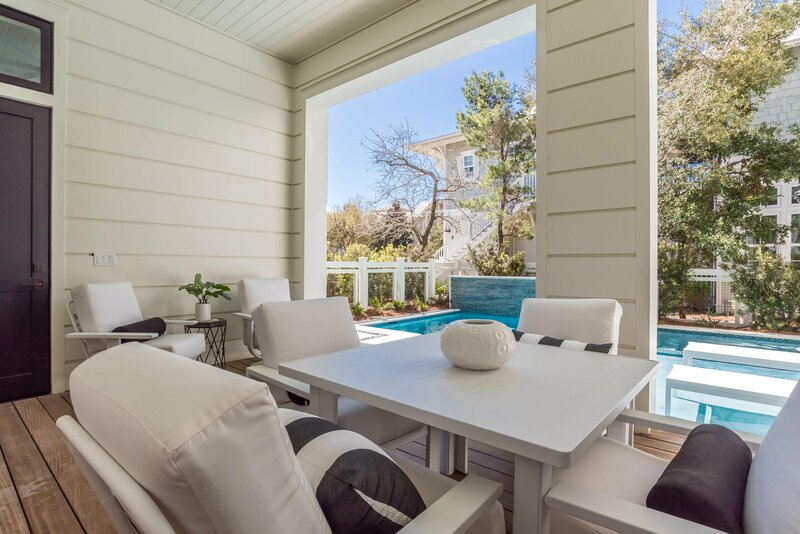 A collapsible glass wall opens to the outdoor kitchen and pool with sun-shelf and spa, as well as a two-car garage and bathroom. 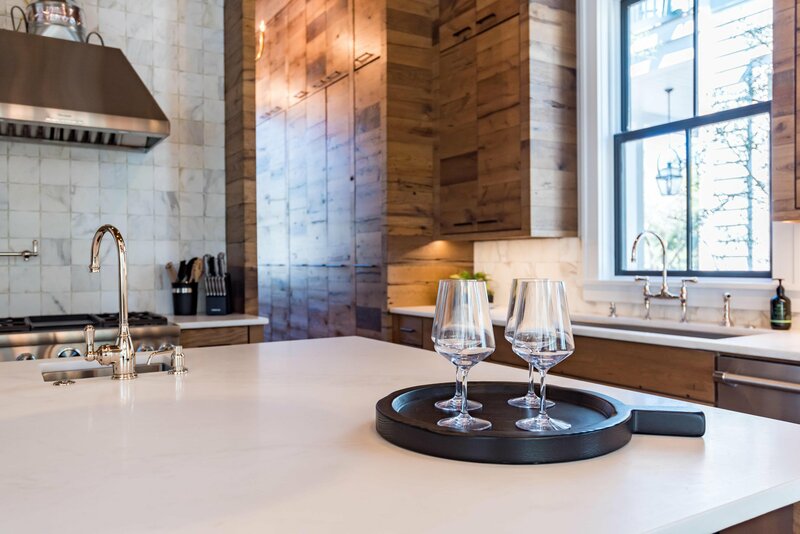 Another half-bath and a wet bar with wine cooler round out the ground floor's many entertainment-minded features. 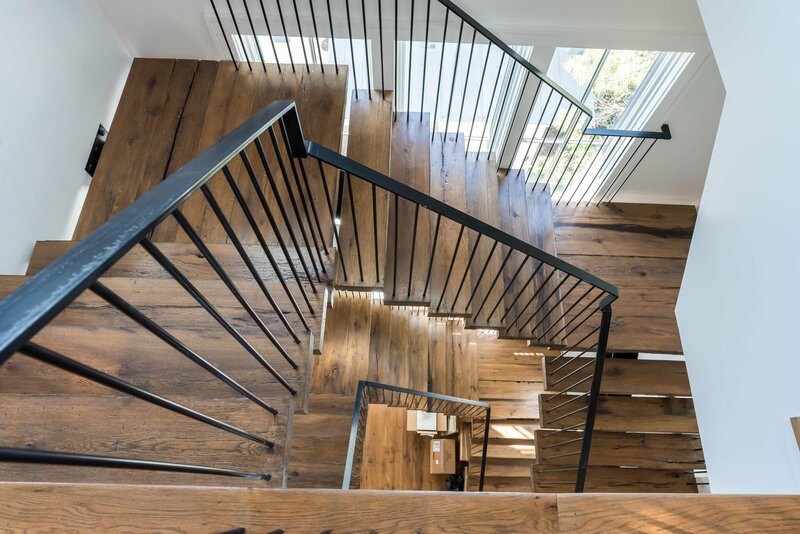 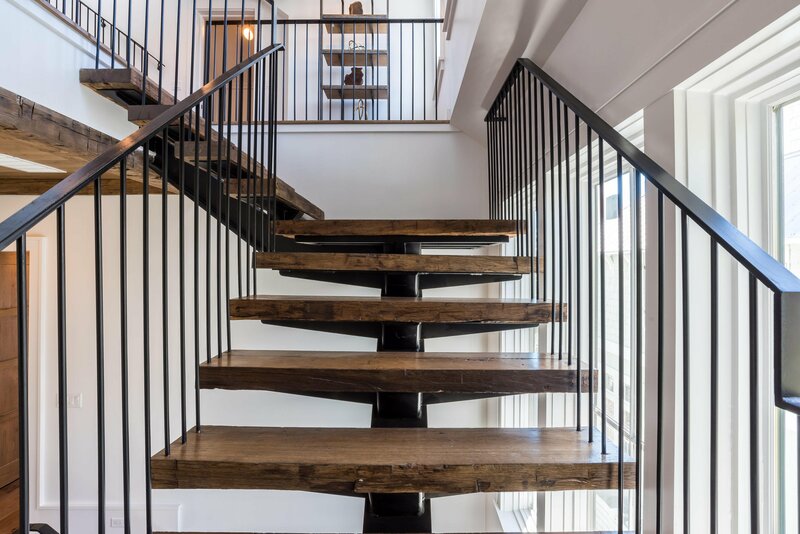 The bespoke floating staircase stuns with a blend of white oak treads and dark metal railing and supports as it winds its way to upper floors of the home. 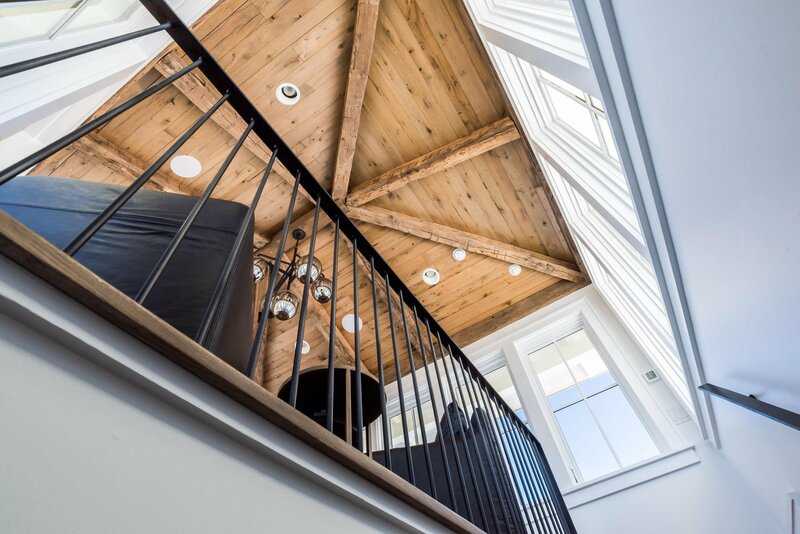 Four of the home's five bedrooms are on the second floor. 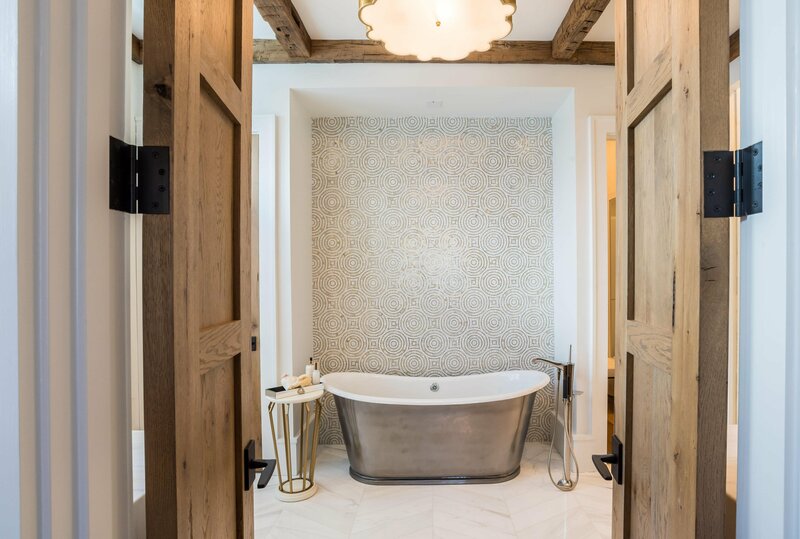 The primary master suite features ample space to relax in the sunny sitting area or the large shaded porch, and the bathroom's oak-faced cabinets, marble countertops, and artisan tile work combine in the stunning master bath, which passes through to a large closet with ample drawers and shelving. 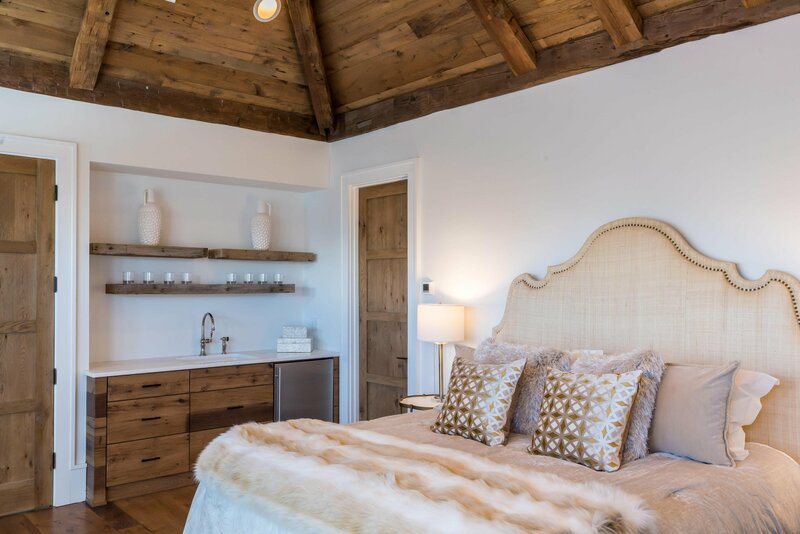 Also on the second floor, soaring ceilings and a beautiful wet bar make the secondary master suite almost as desirable as the primary. 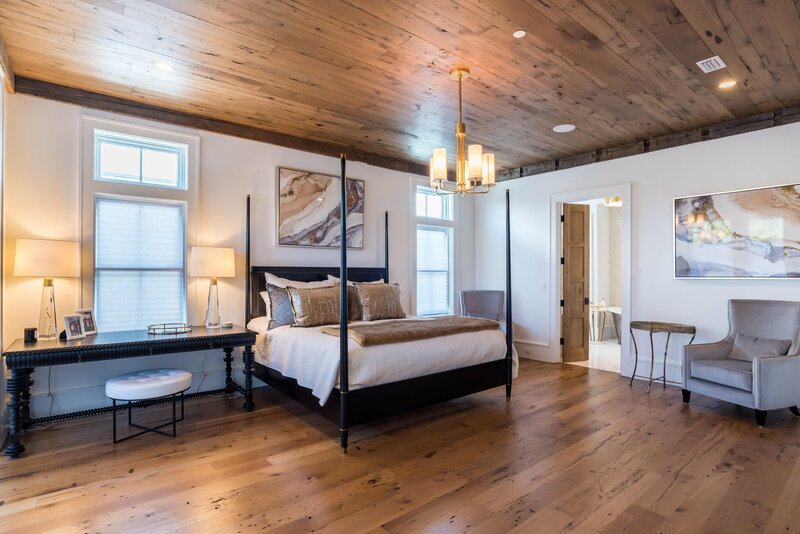 Two other guest bedrooms, each situated thoughtfully off the main hallway, round out the second floor. 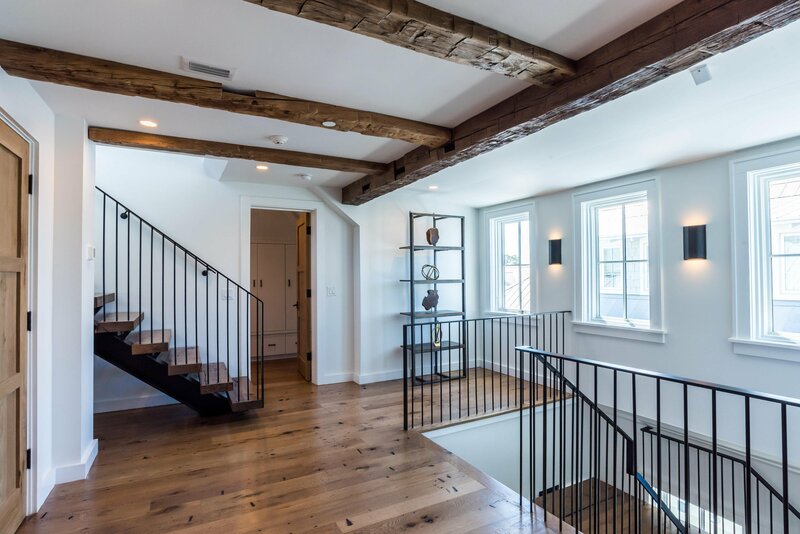 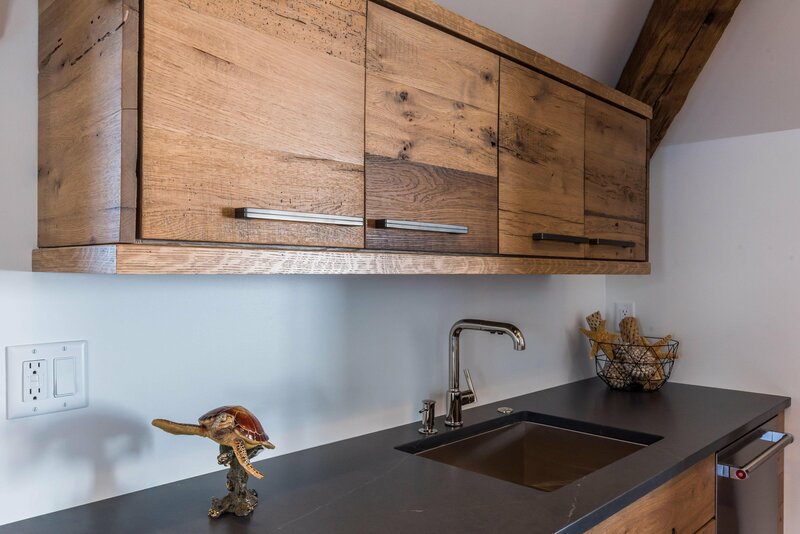 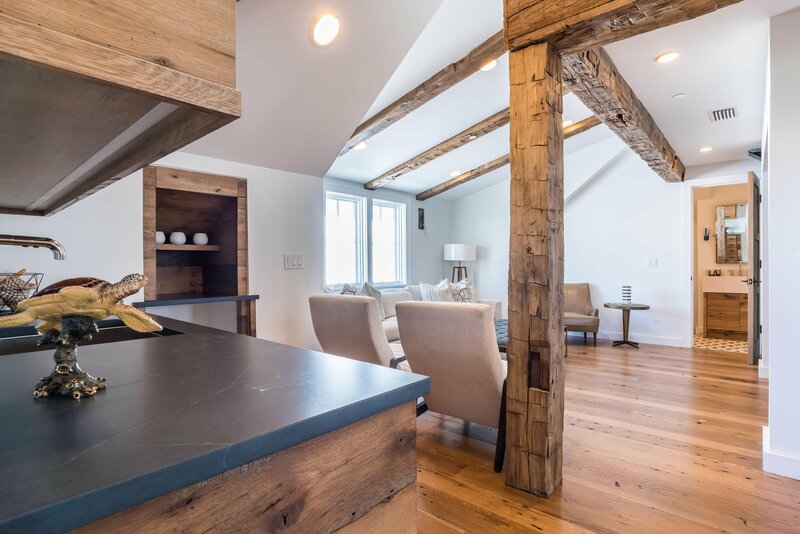 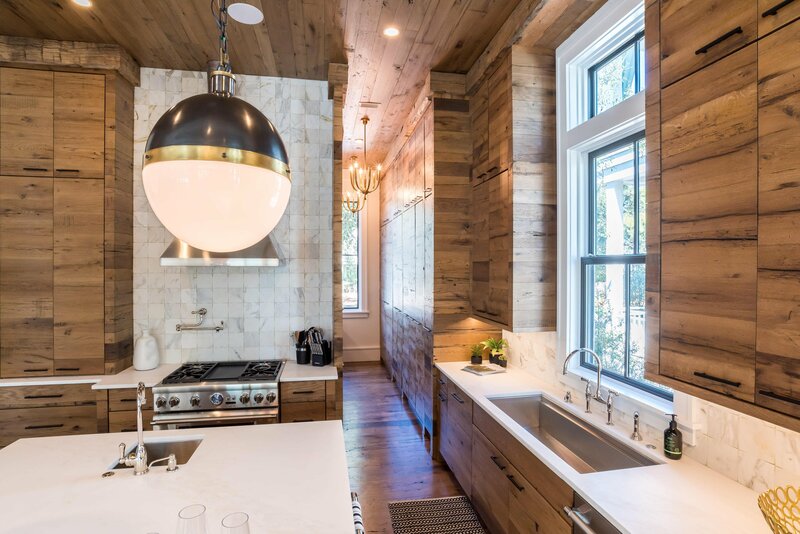 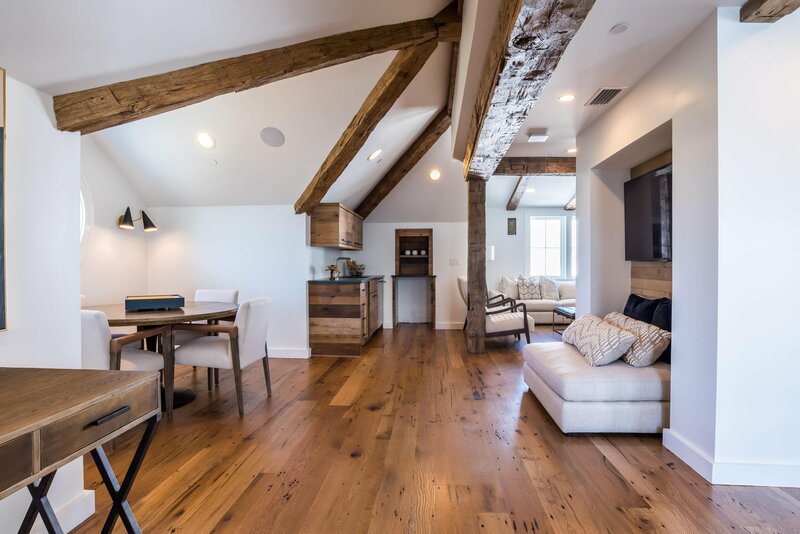 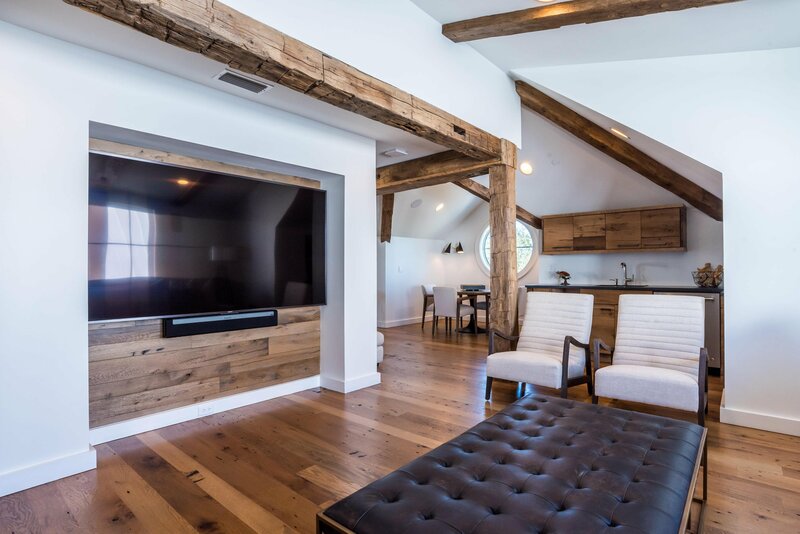 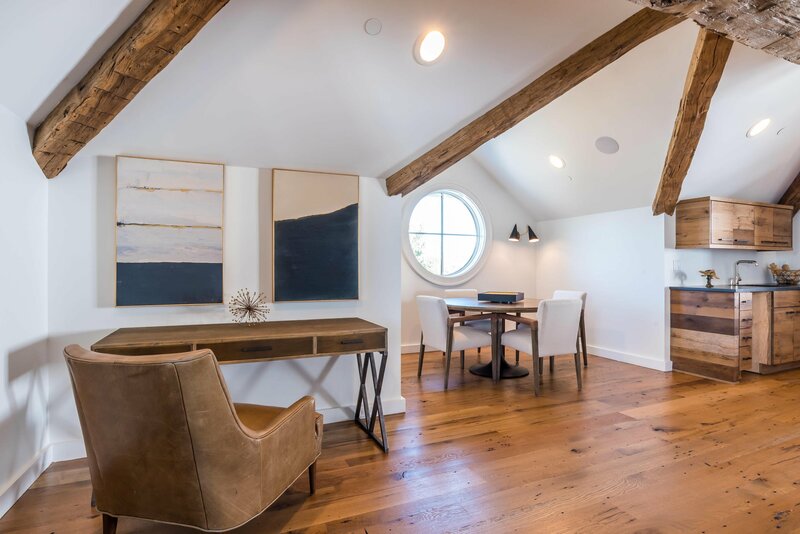 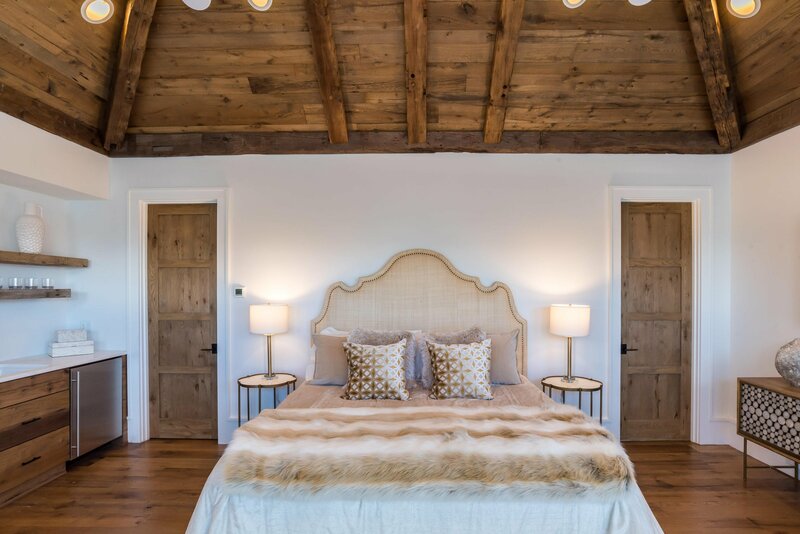 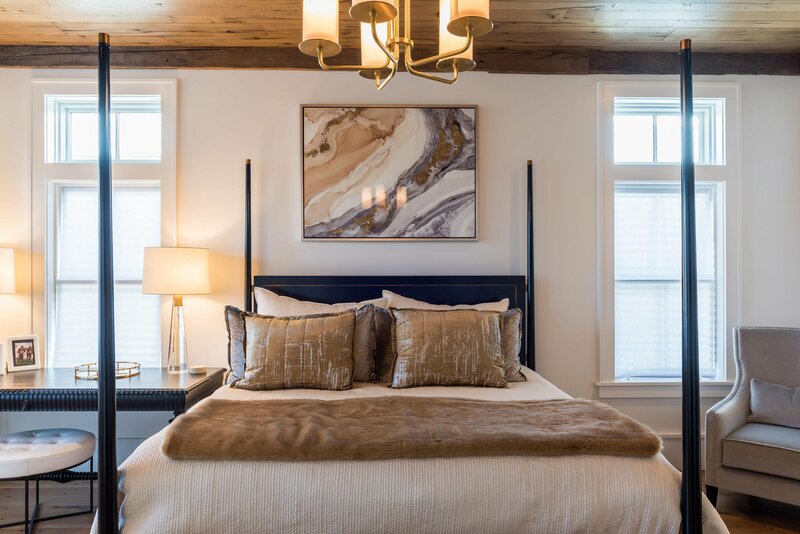 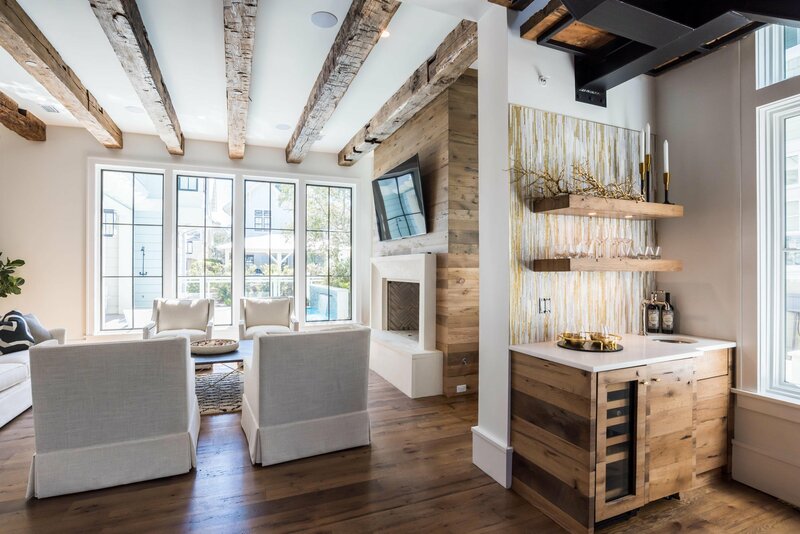 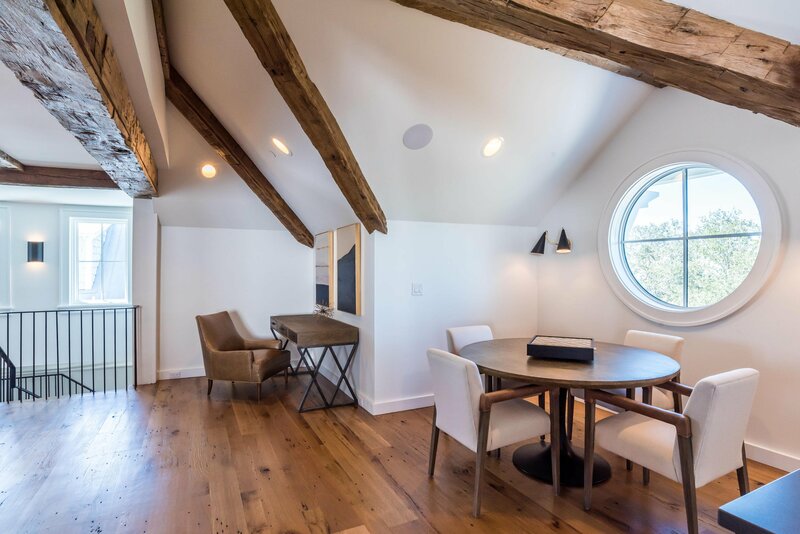 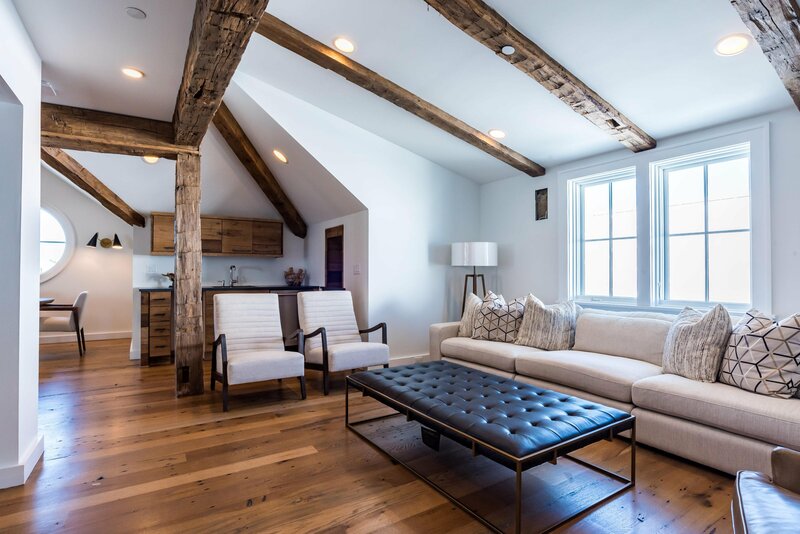 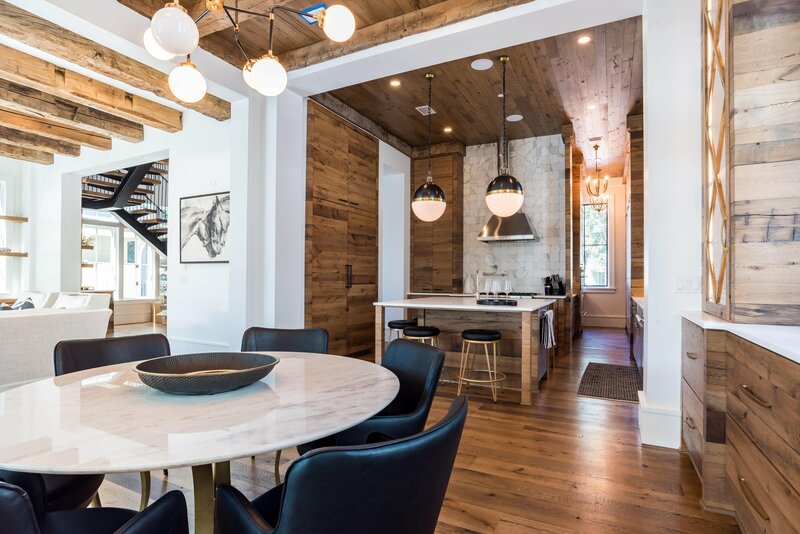 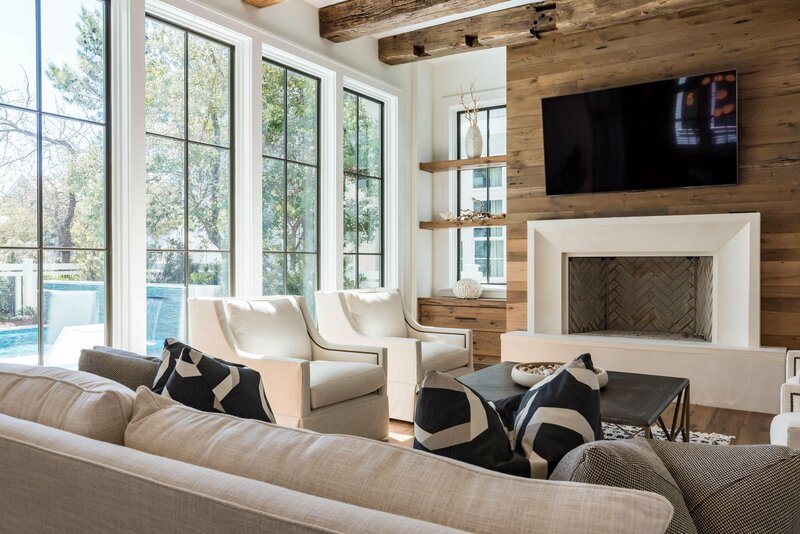 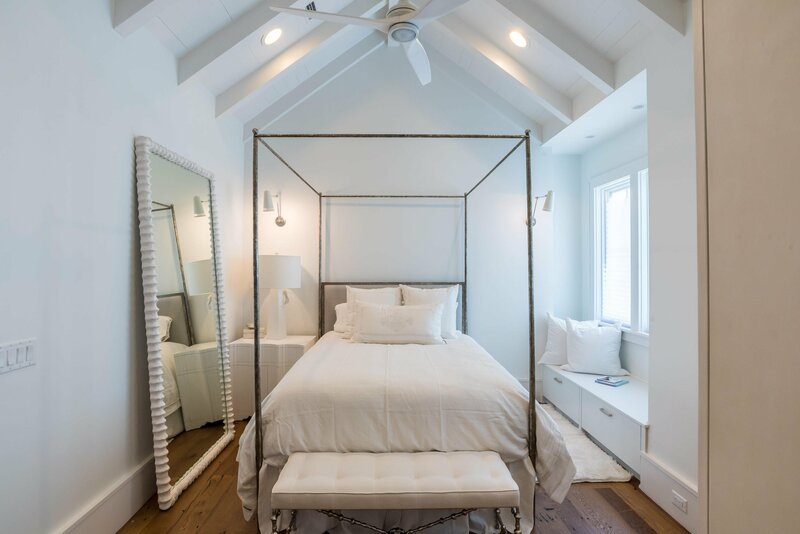 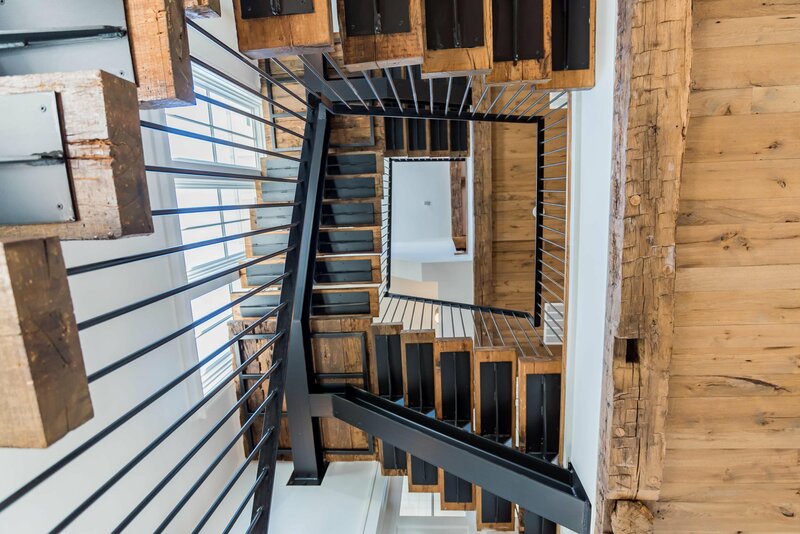 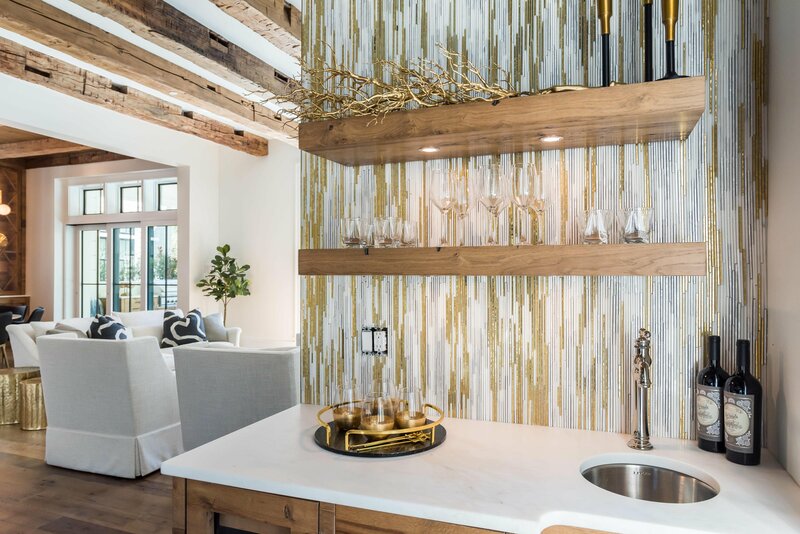 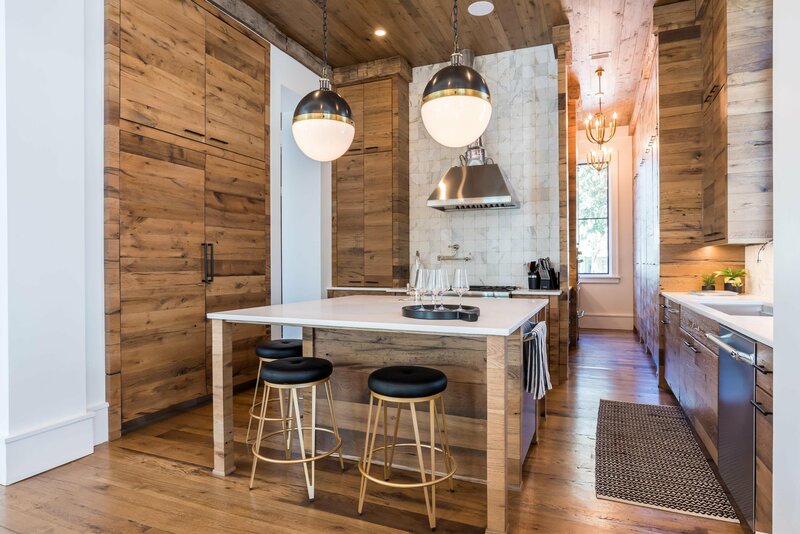 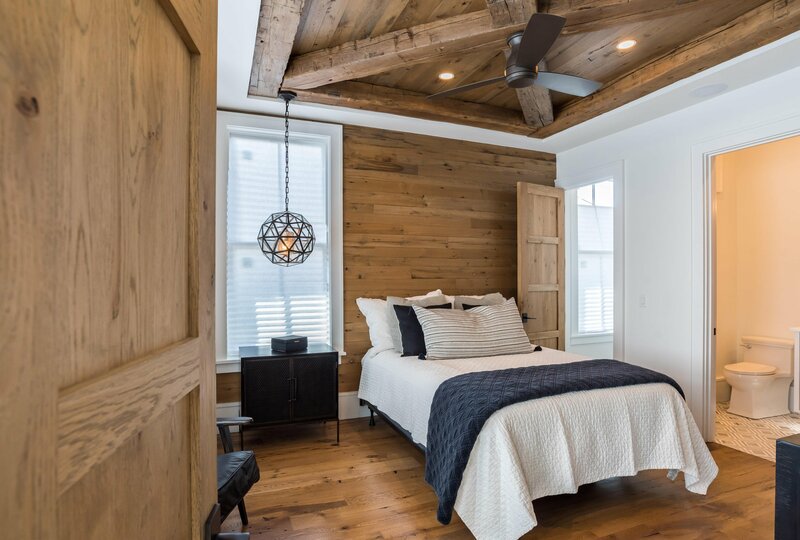 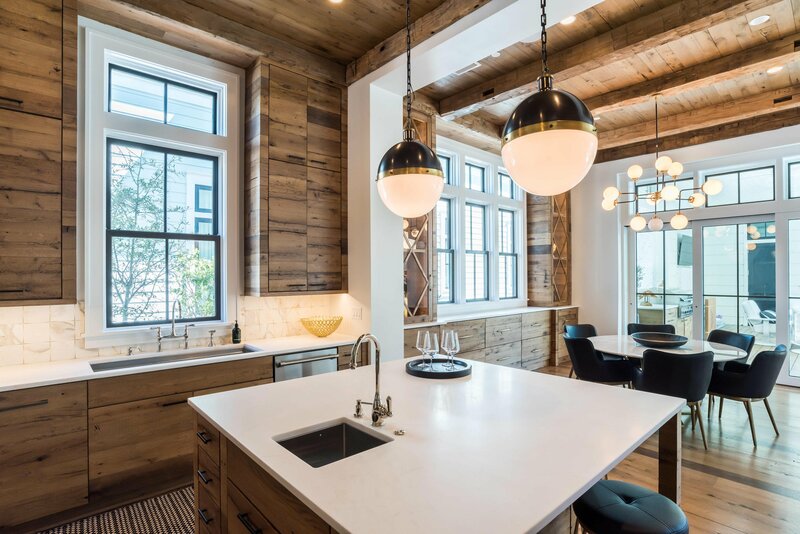 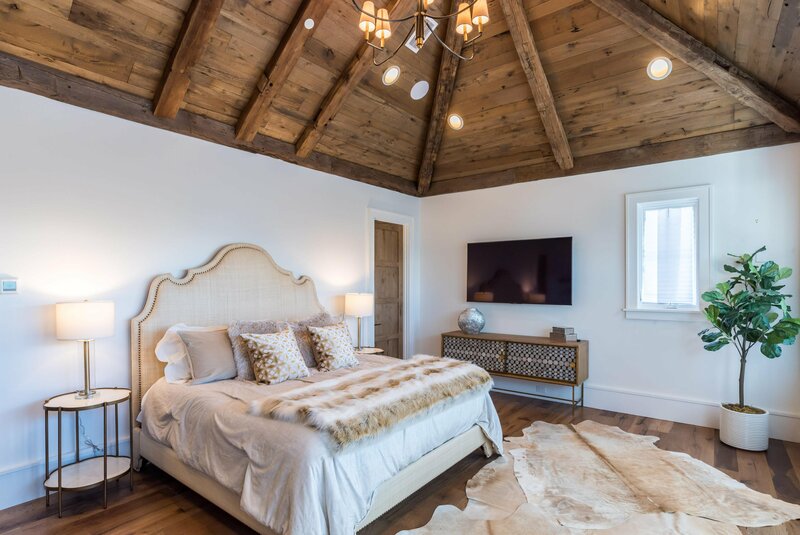 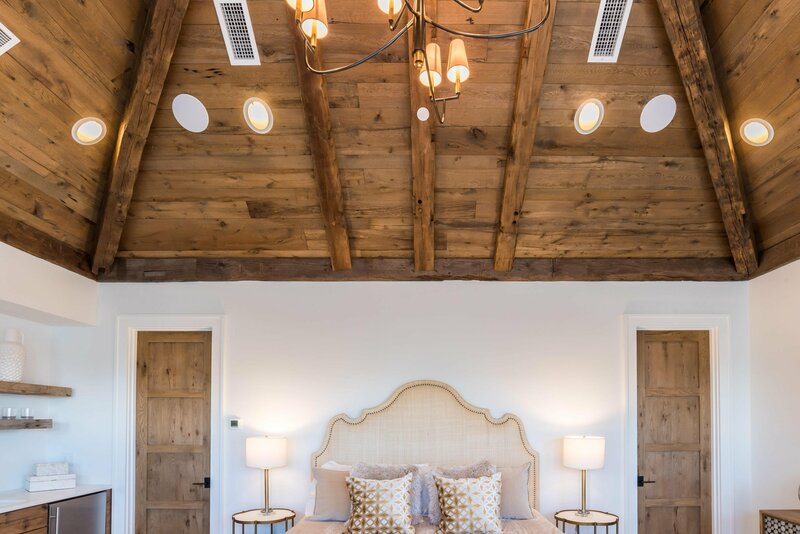 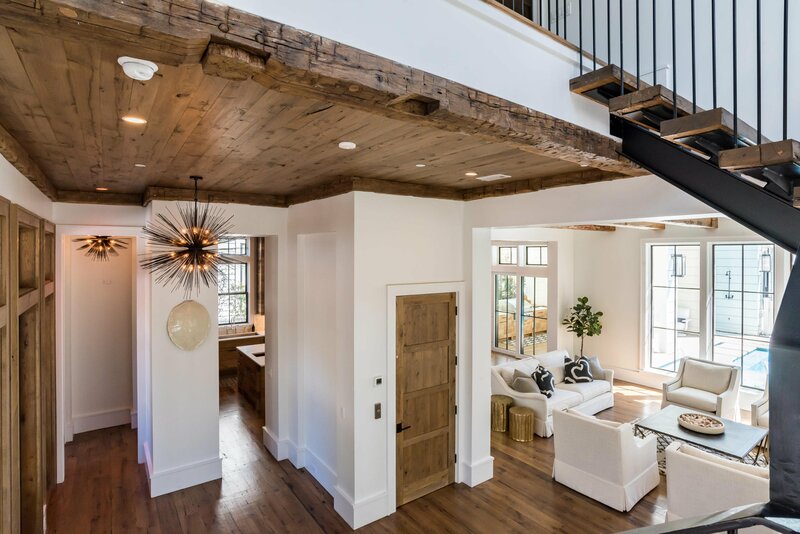 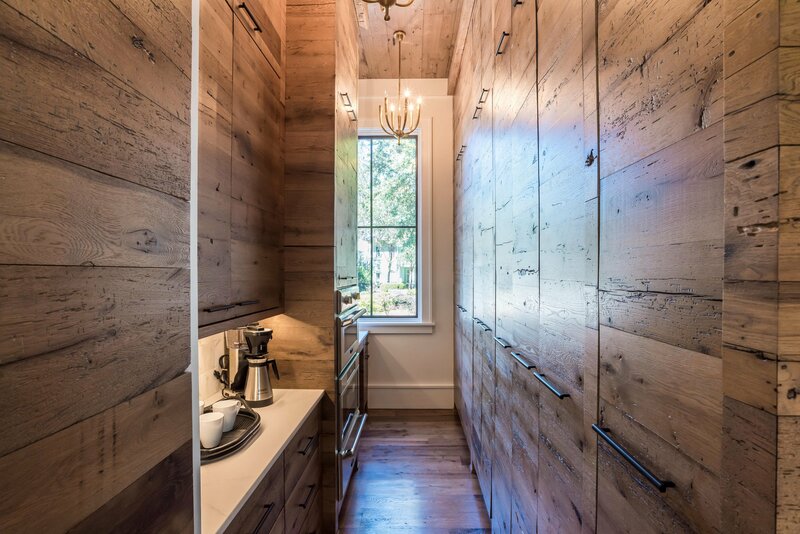 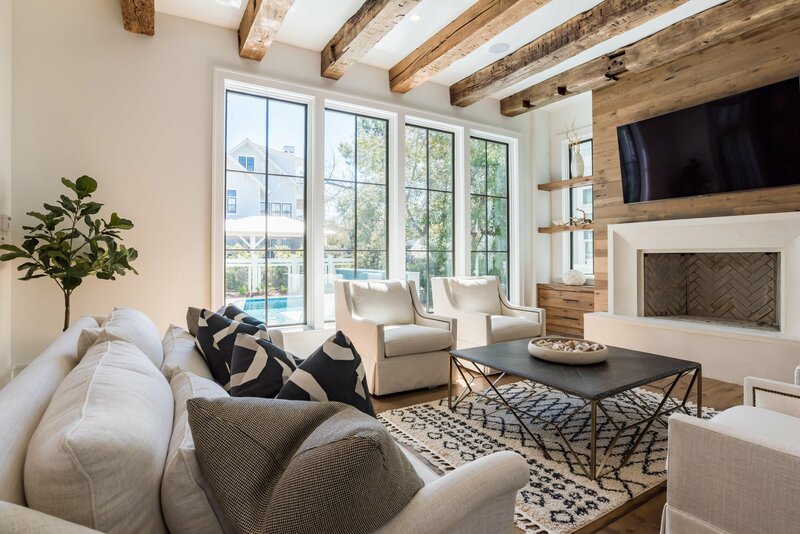 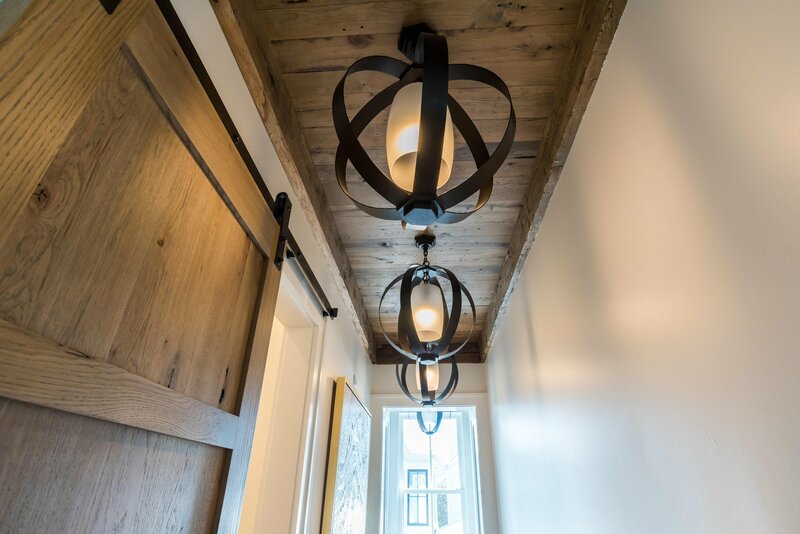 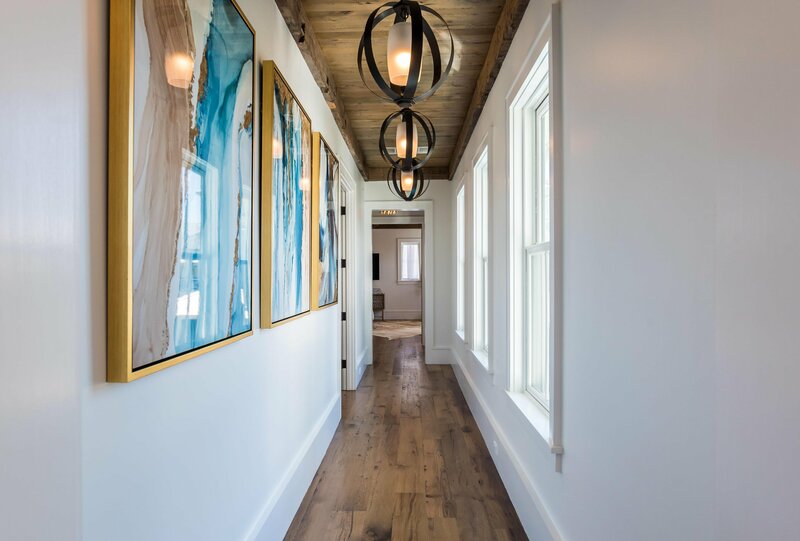 The ceiling designs, each unique to specific areas of the home, are works of art in themselves, featuring beams and lumber reclaimed from the same Pennsylvania farm as the other wood used throughout. 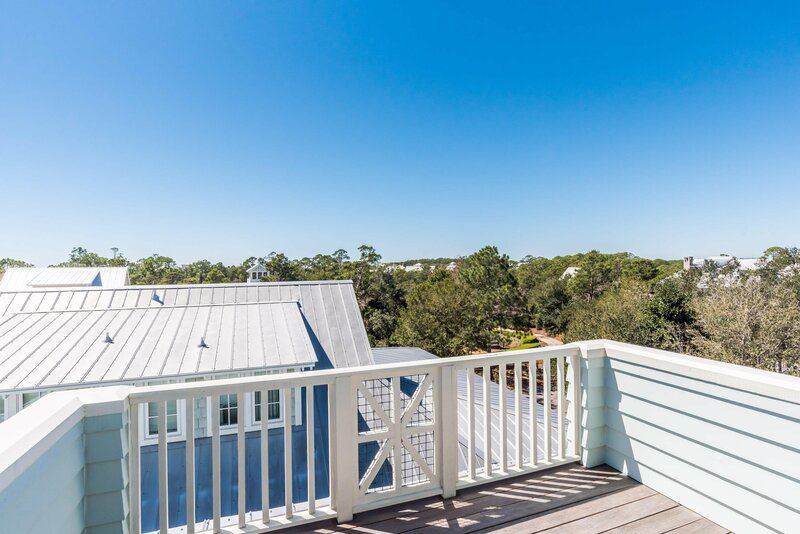 The third floor is ideal for relaxing and enjoying the resort lifestyle to its fullest. 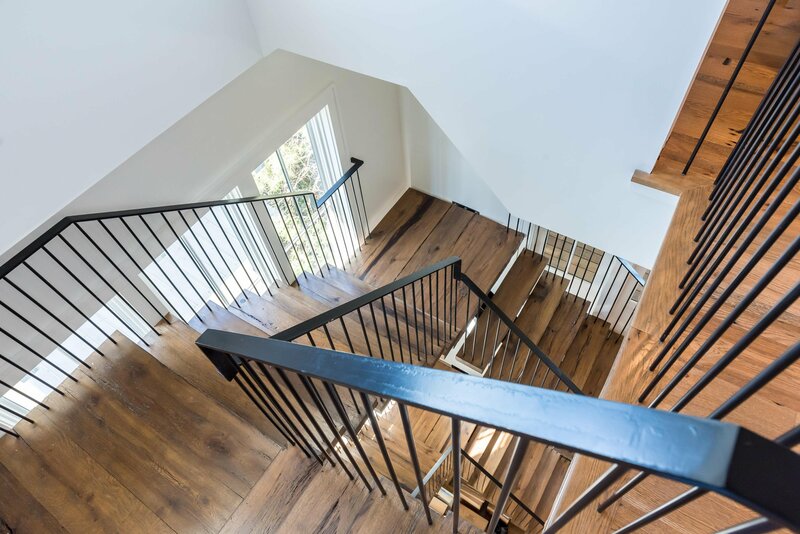 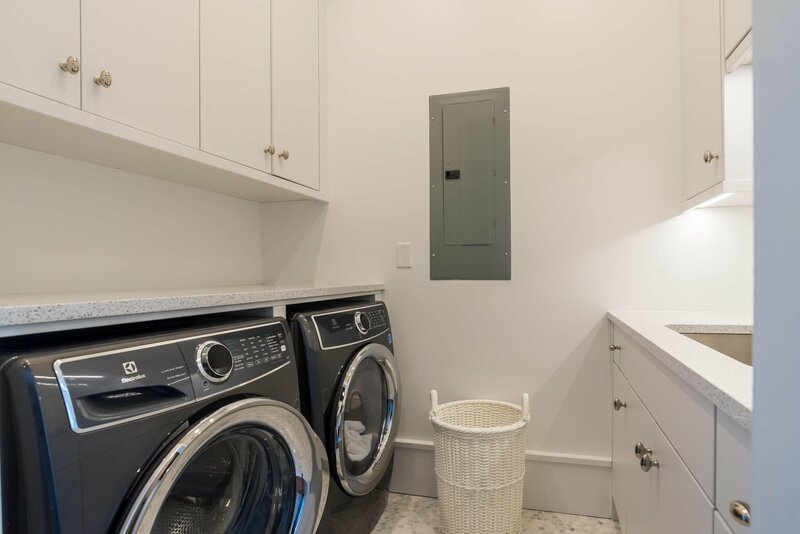 Two large TV areas, a separate game area, bookshelves, and a bunk room with attached closet and bath mean you may never need to come downstairs! 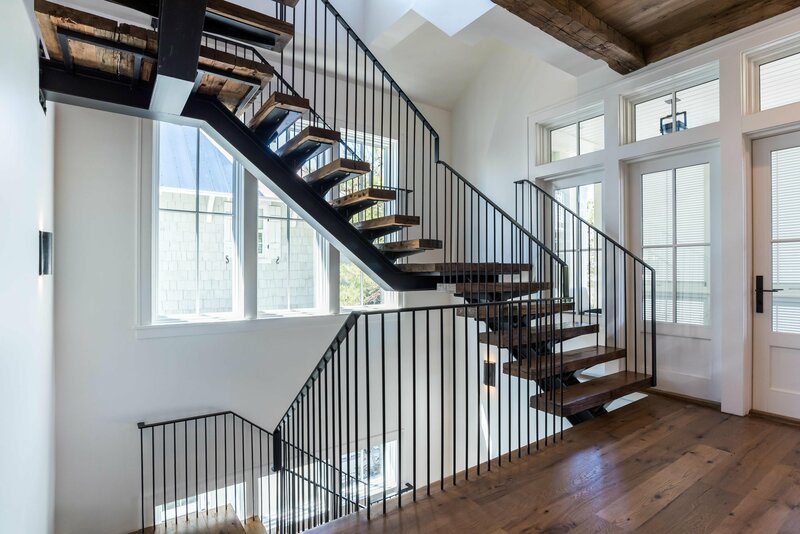 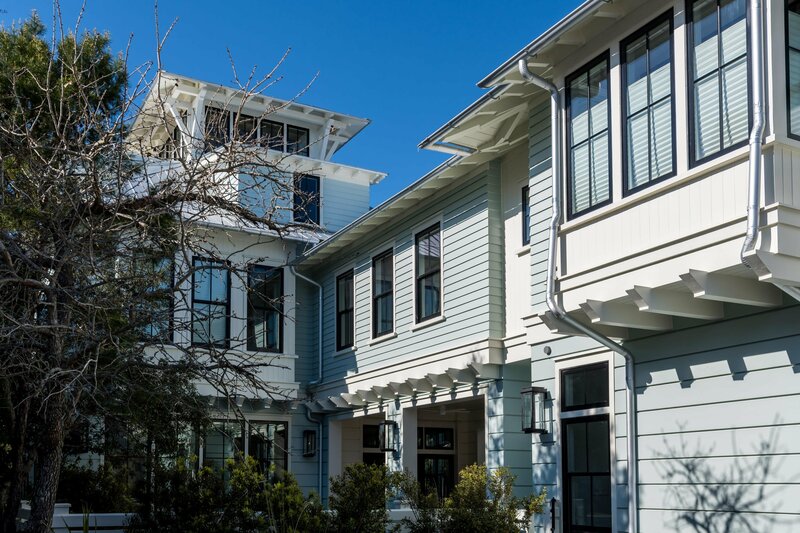 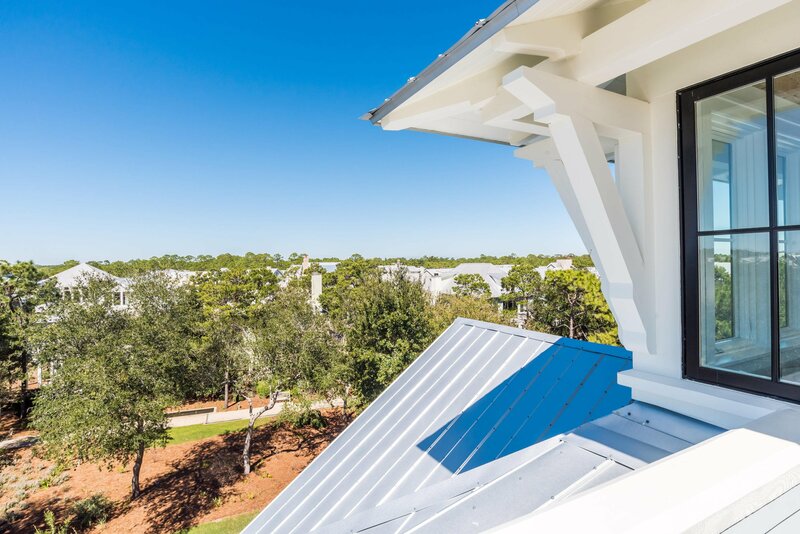 An elevator serves the bottom three levels of the home, with another custom staircase leading the way to the fourth floor's sunroom and deck, with 360-degree views of Watercolor. 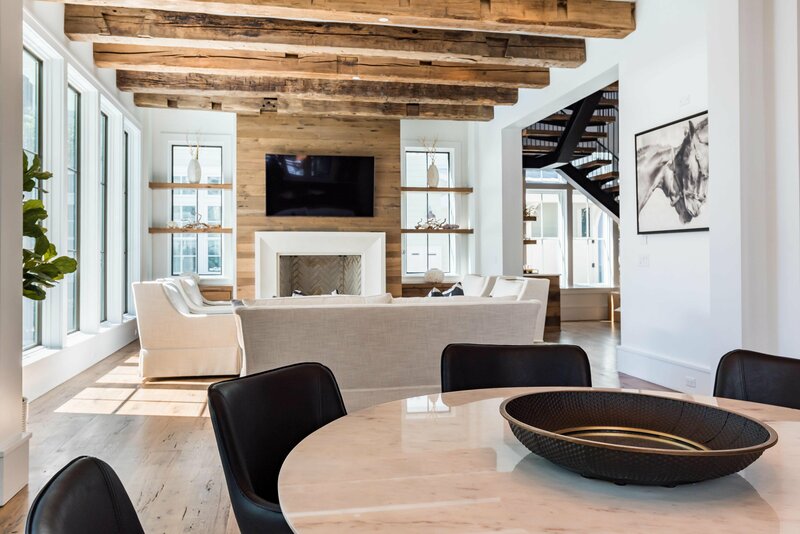 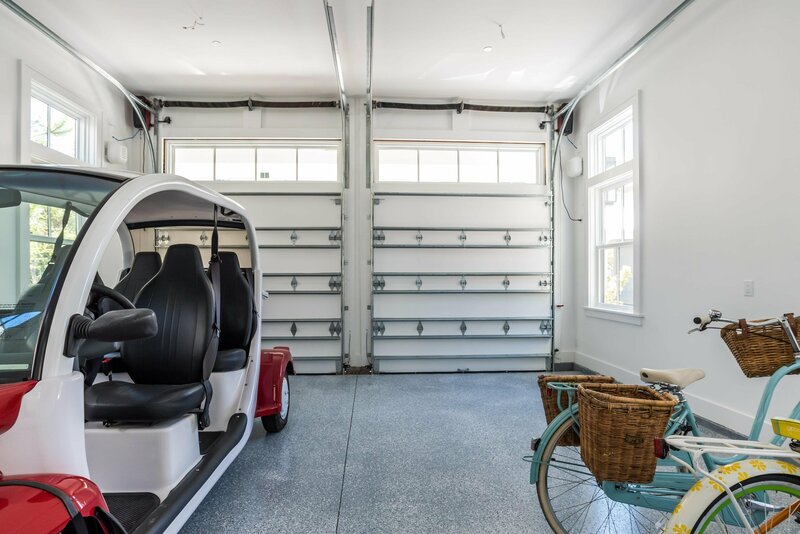 The home is equipped with Apple TV sets, Sonos sound system, and other ultra high-end amenities, and is being sold fully furnished. 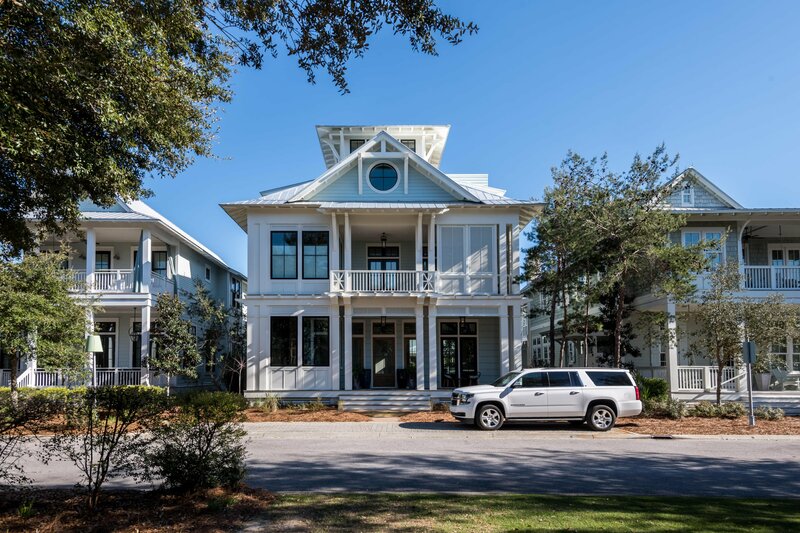 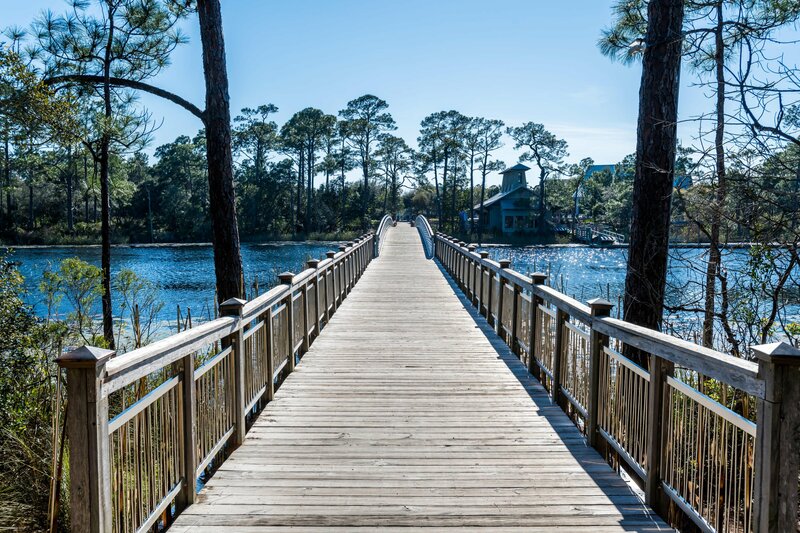 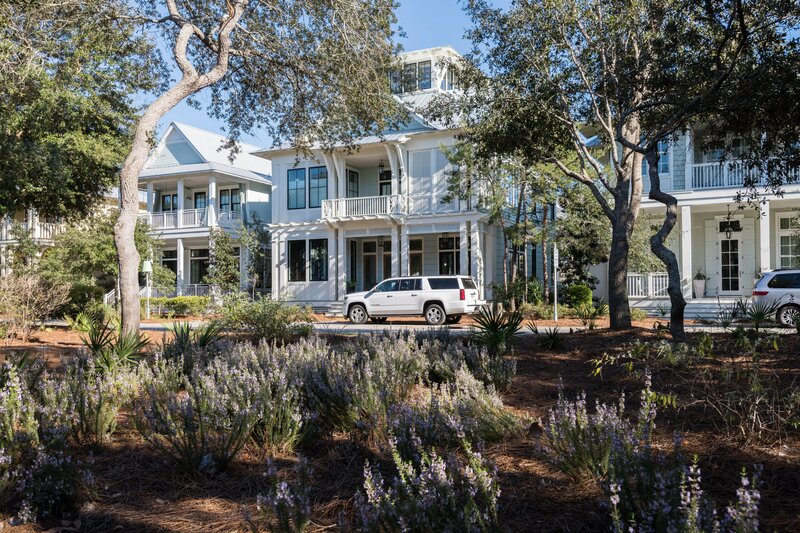 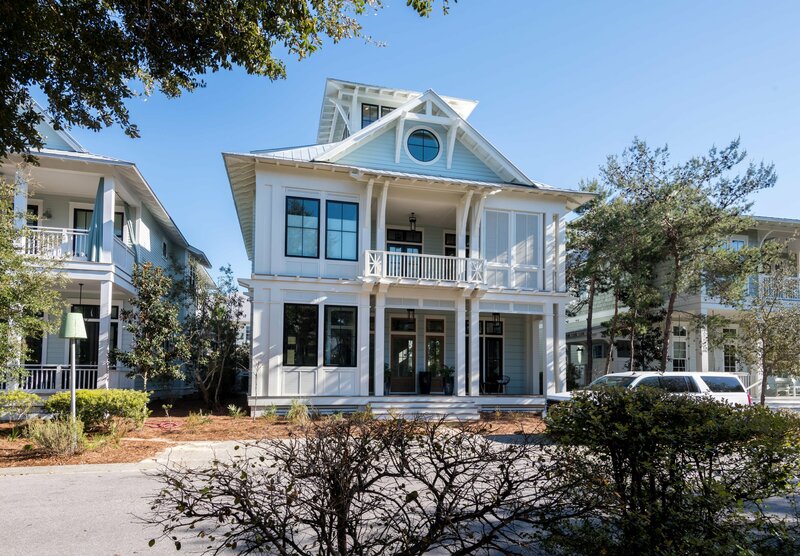 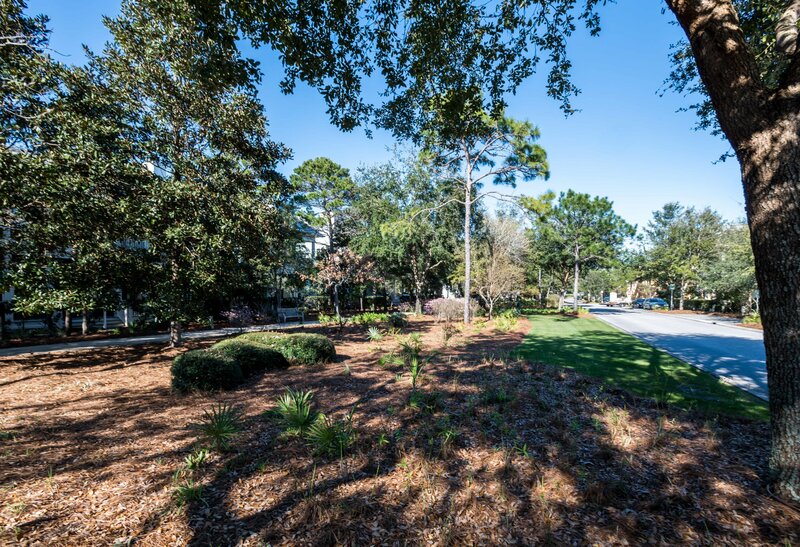 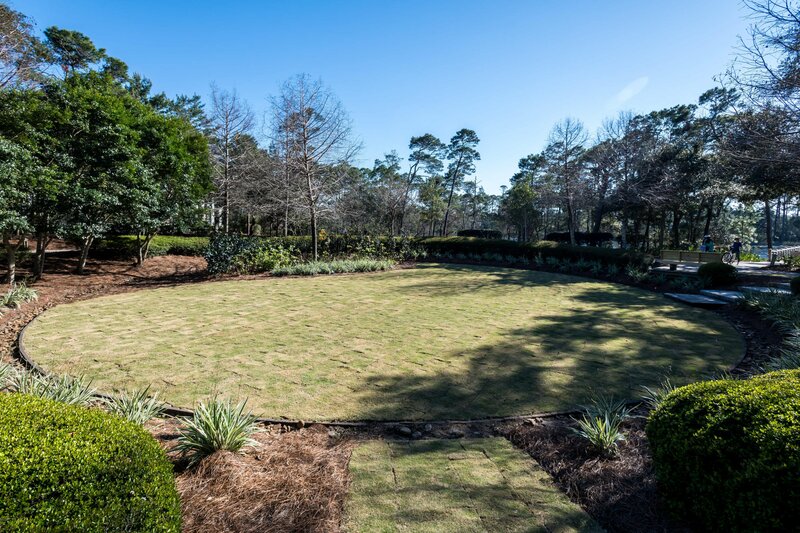 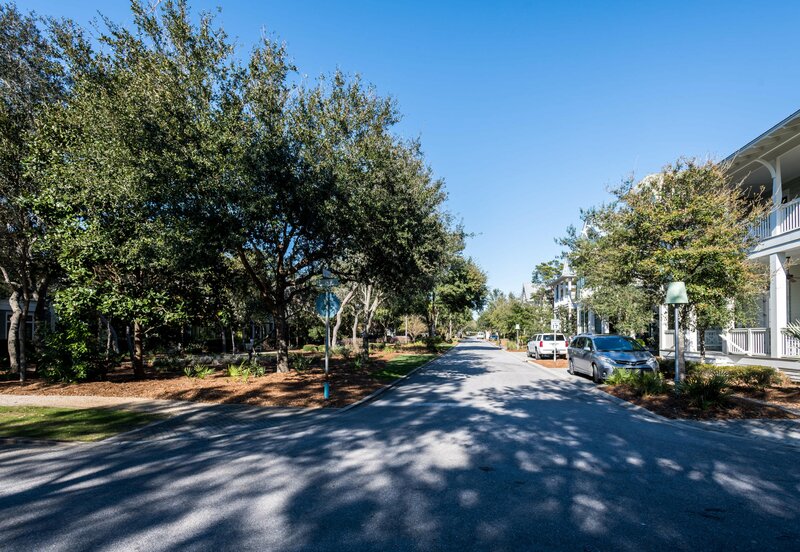 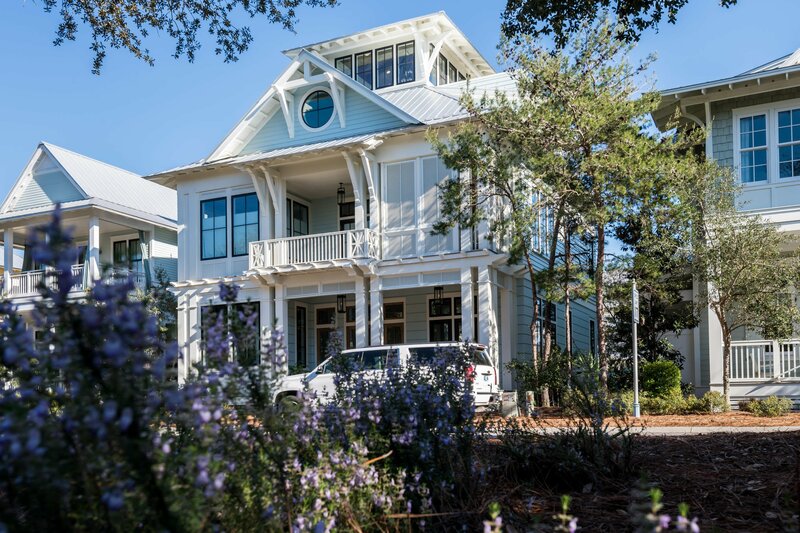 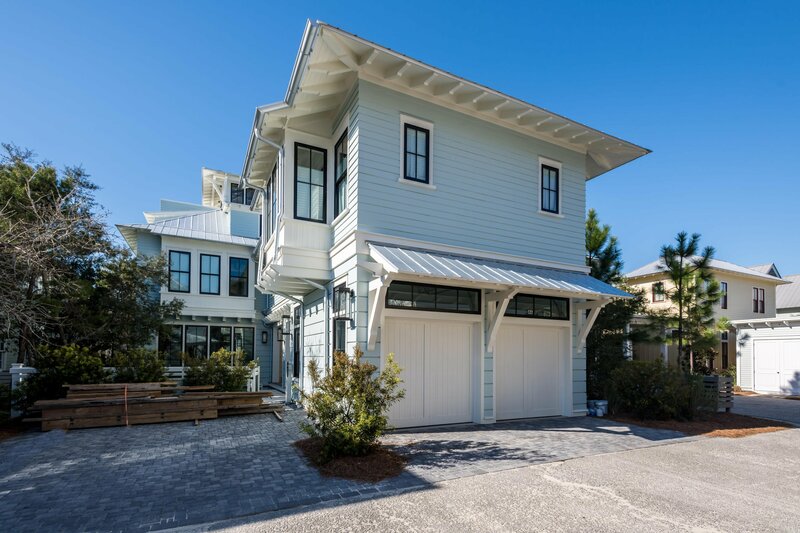 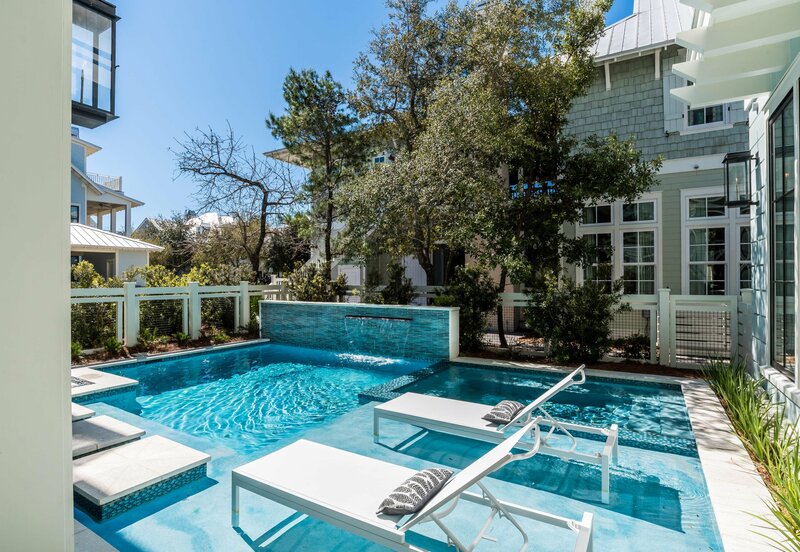 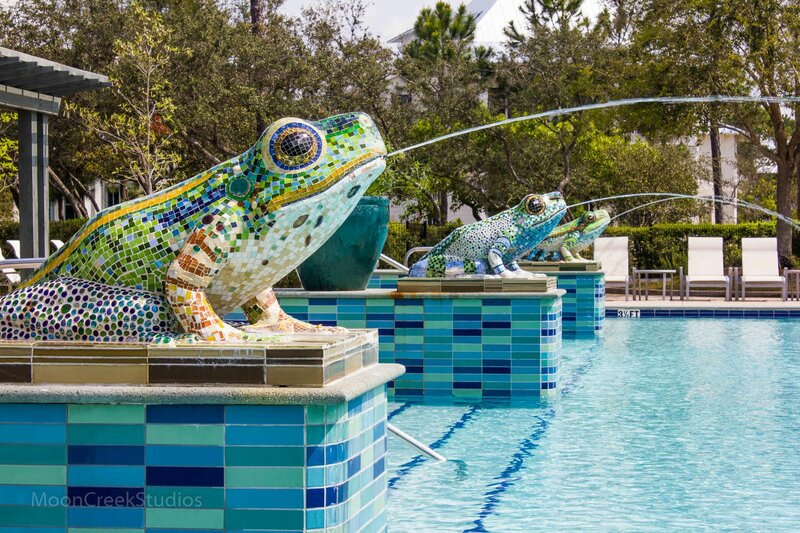 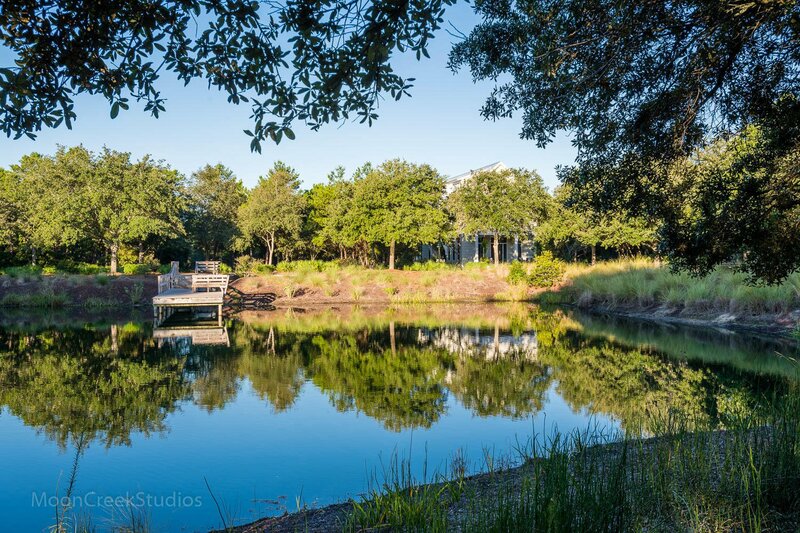 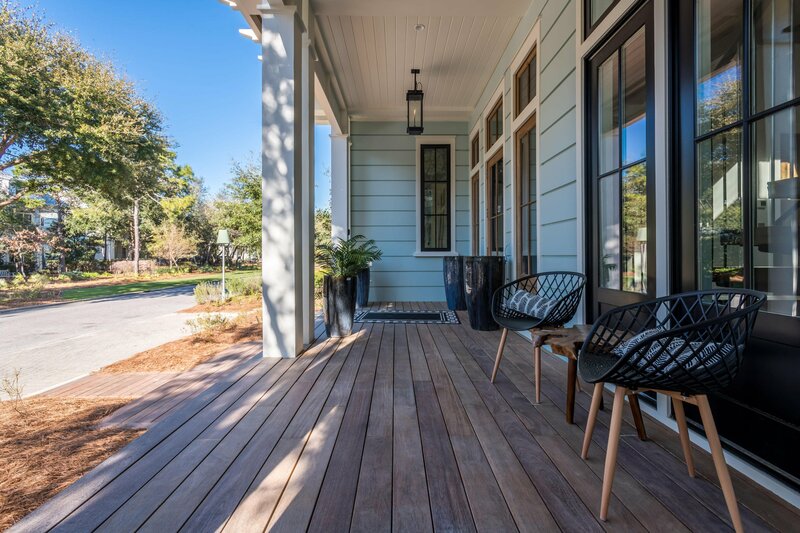 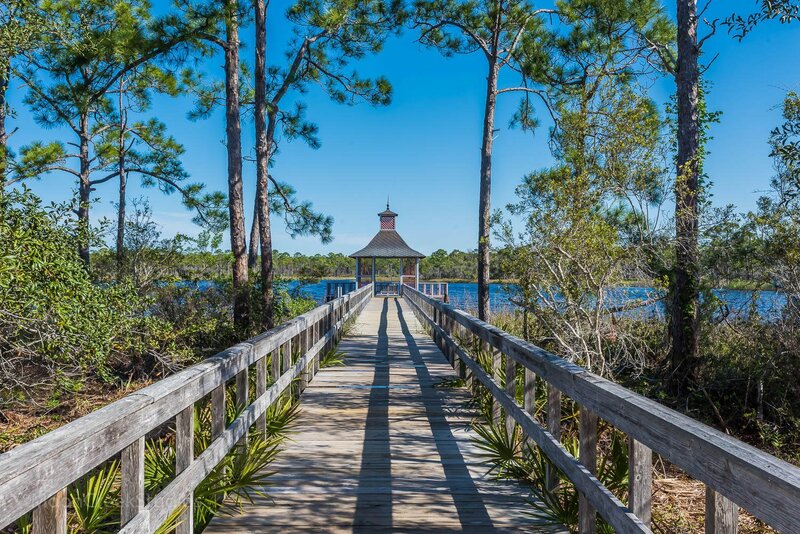 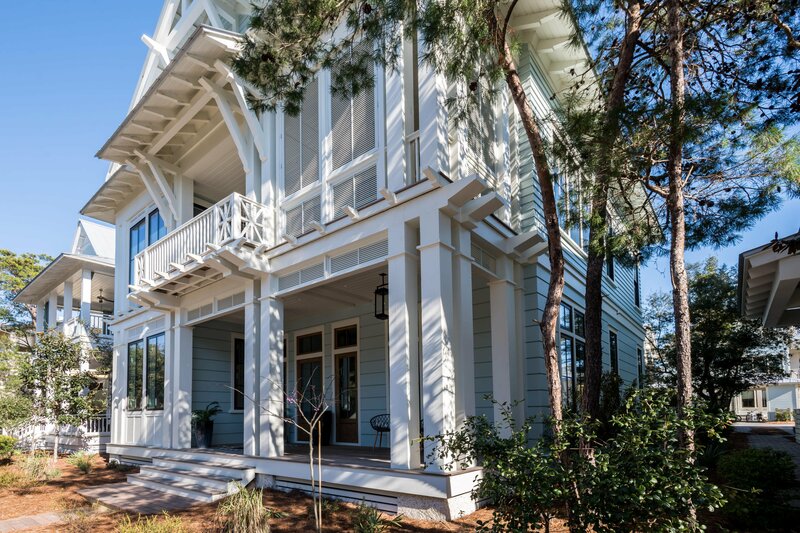 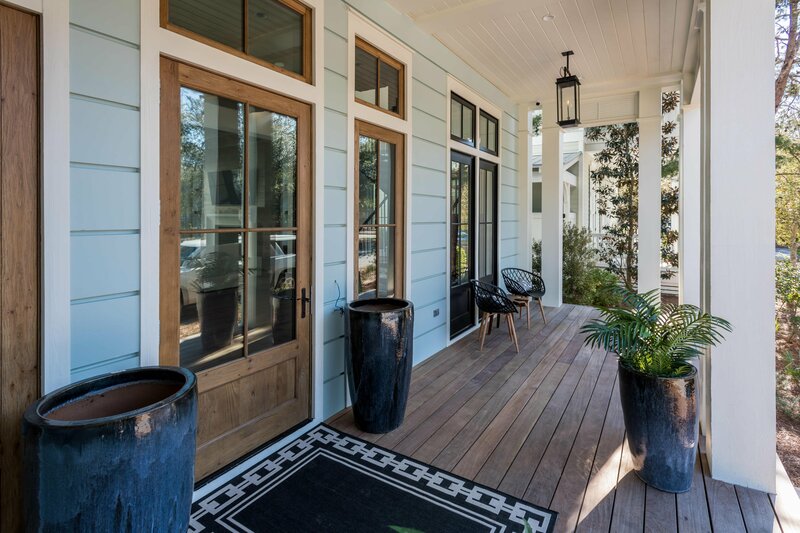 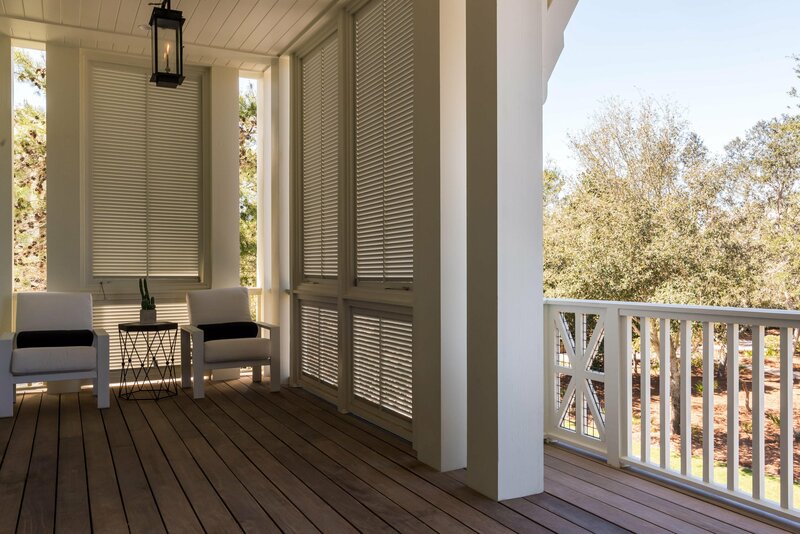 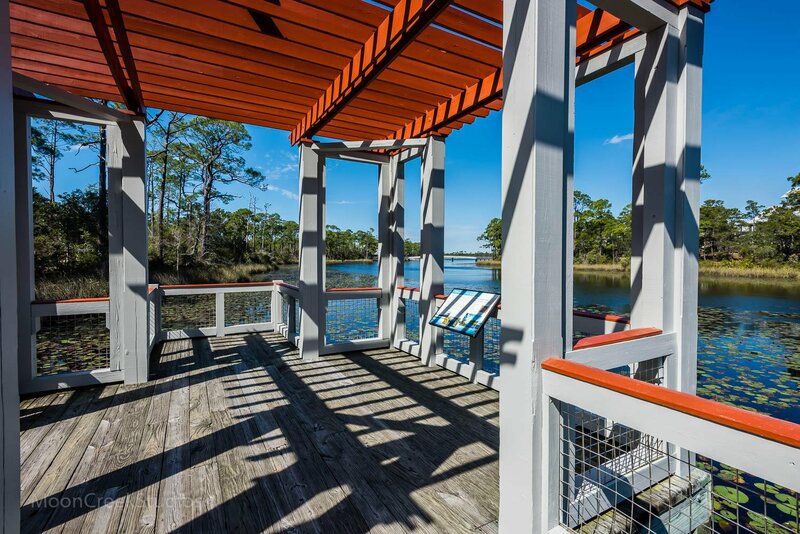 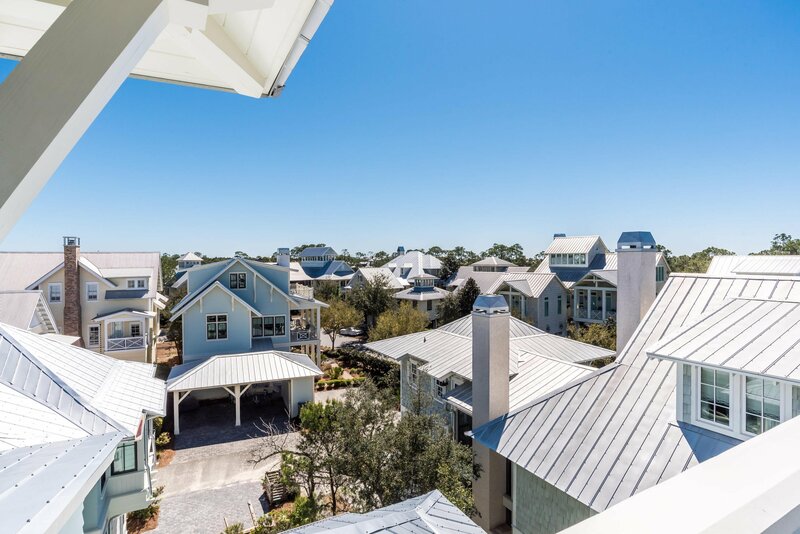 Home is centrally located to the best dining, unique boutique shops, bike paths and golf courses along the Emerald Coast. 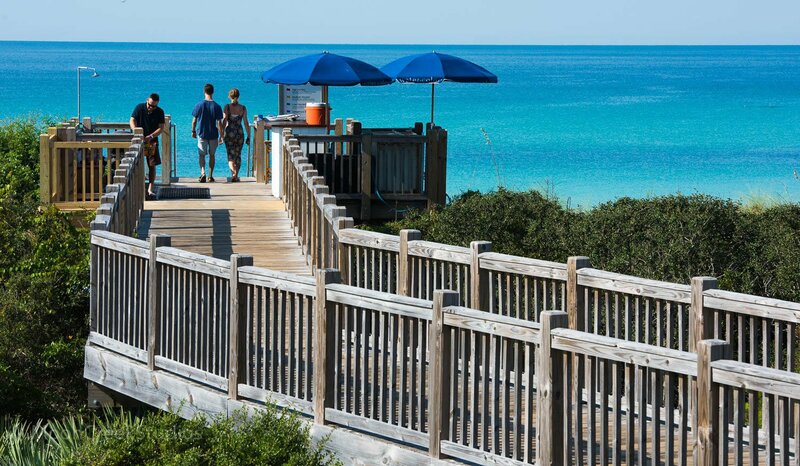 Easy access to Hwy. 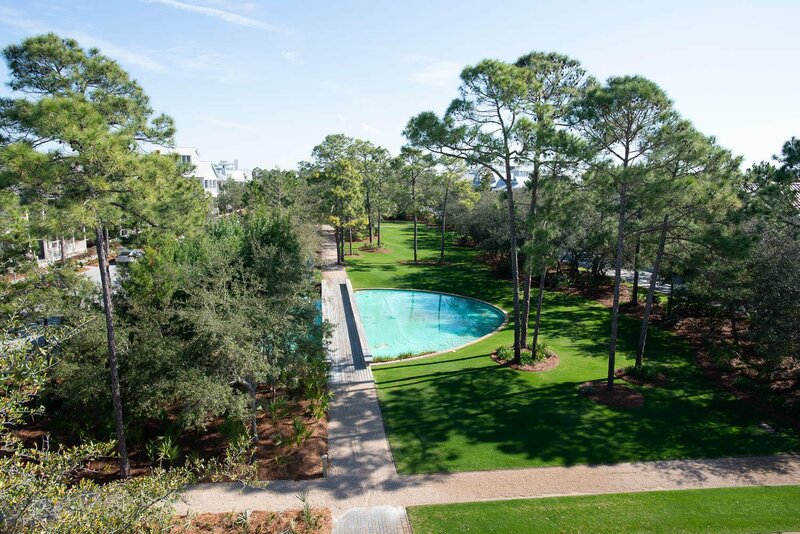 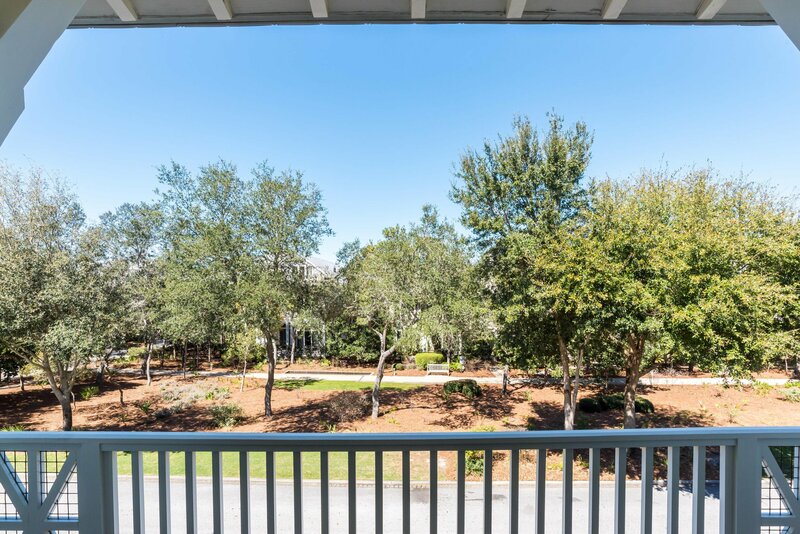 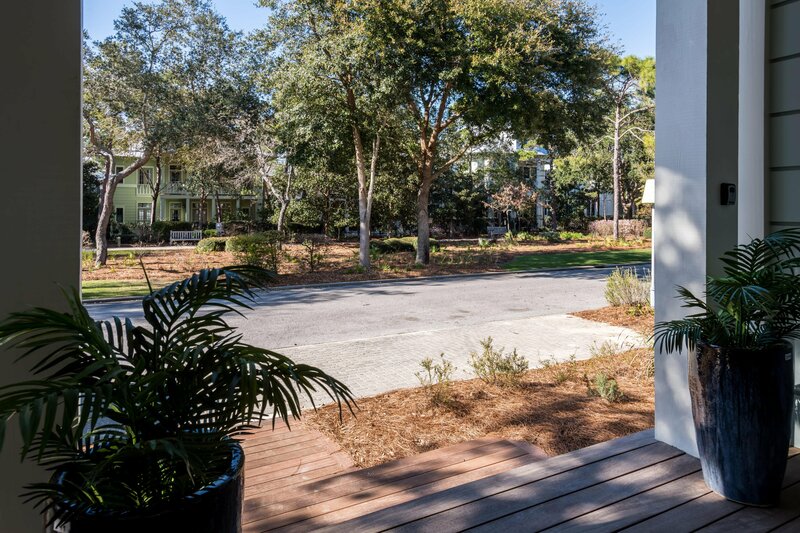 98, allowing you easy access to Panama City and the new Northwest Florida Beaches International Airport.